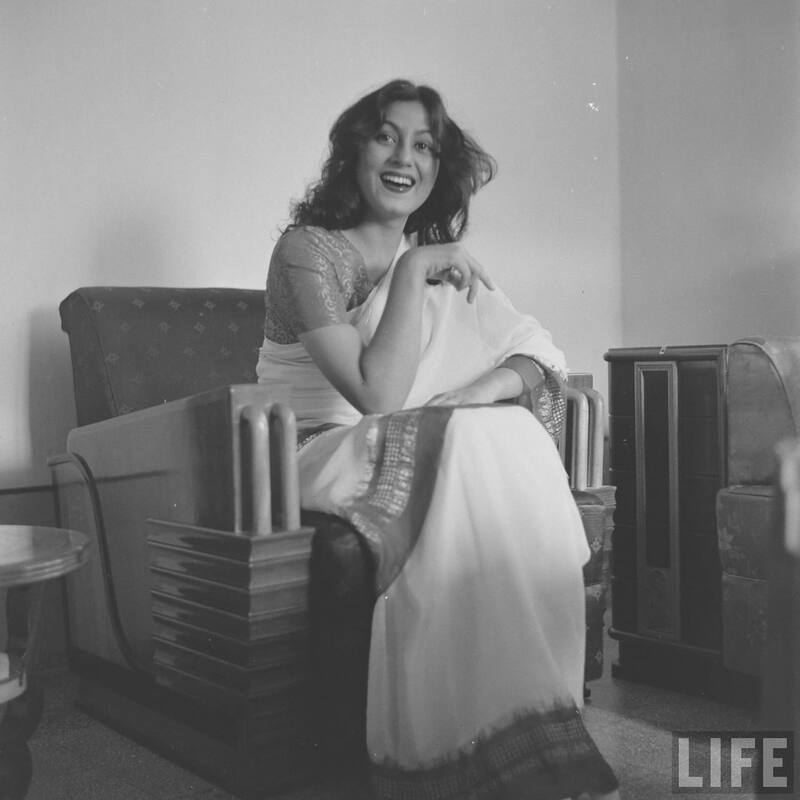 Mumtaz Jahan Begum Dehlavi (14 February 1933 – 23 February 1969) better known by her screen name Madhubala was an Indian actress who appeared in Bollywood films. 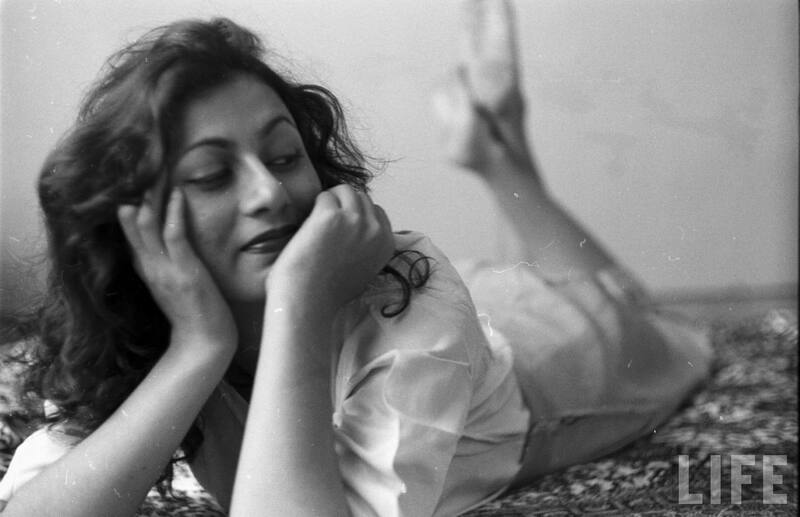 Her enduring screen fame derives from her appearances in film classics such as Mahal (1949), Mr. & Mrs. '55 (1955), Chalti Ka Naam Gaadi (1958) and Mughal-e-Azam (1960). 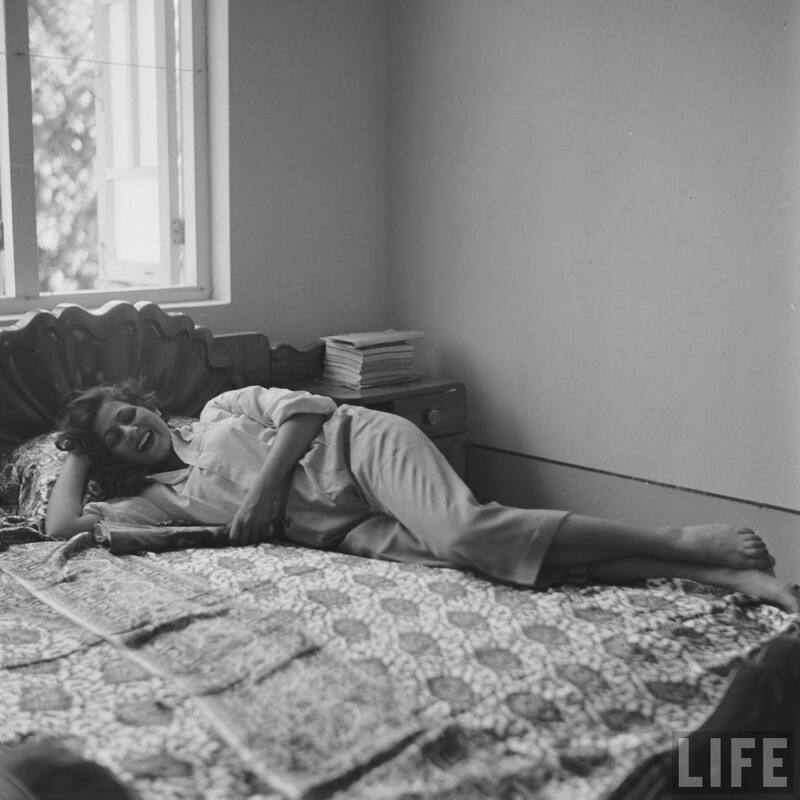 She was prolific from 1949 through to 1960 when illness abbreviated her career. 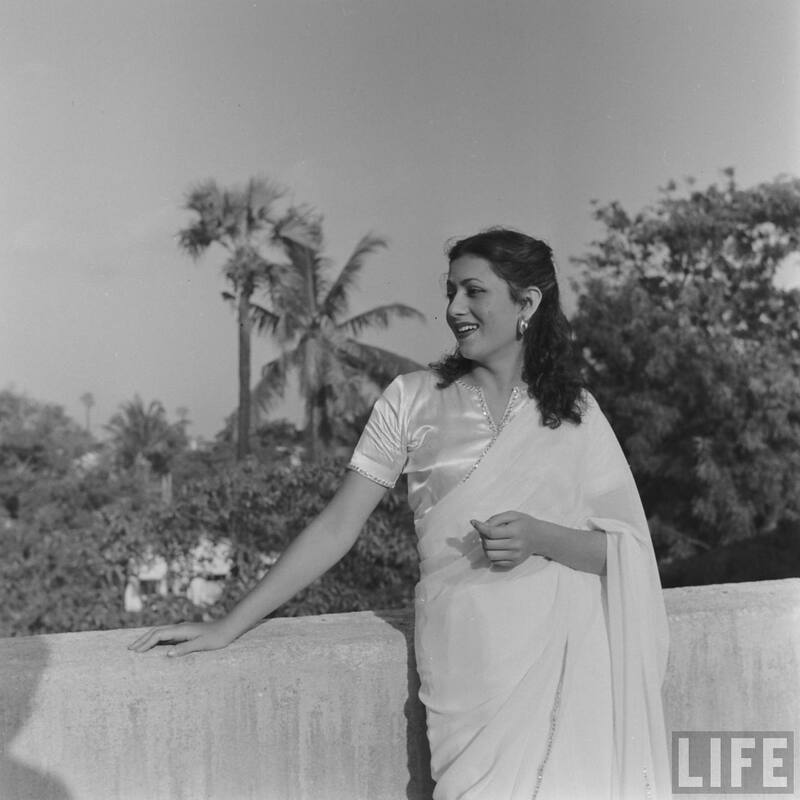 With her contemporaries Nargis and Meena Kumari, she is widely regarded as one of the most influential and talented Hindi movie actresses. 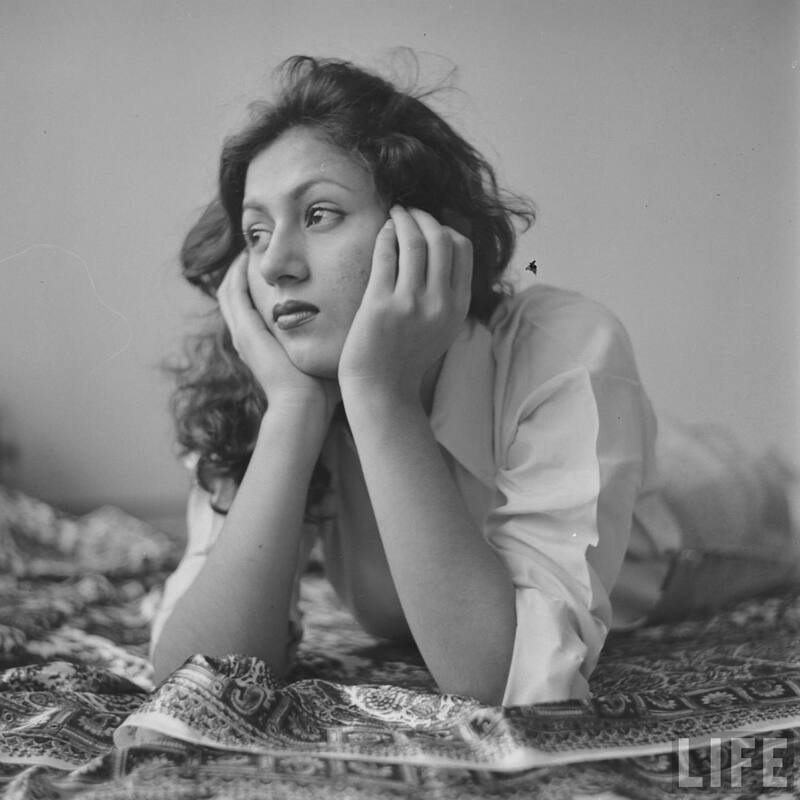 Madhubala was born as Mumtaz Jahan Begum Dehlavi in New Delhi, India on 14 February 1933 to a Muslim couple of Pashtun (Pathan) descent. 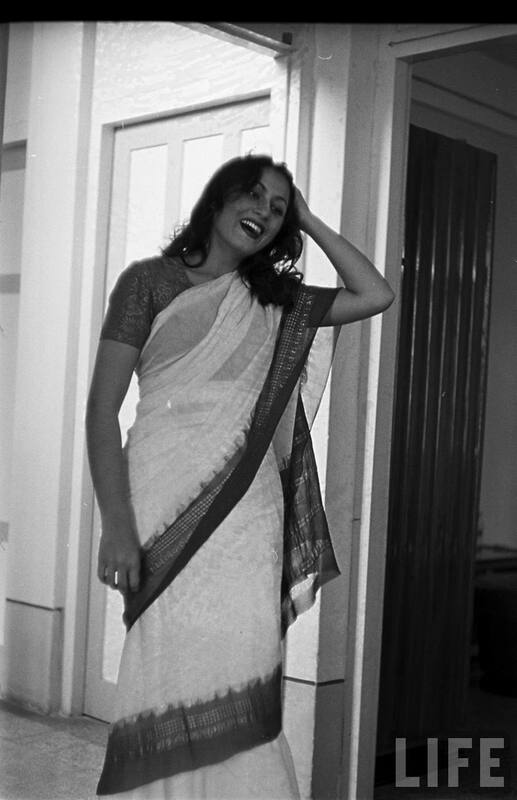 The family were based in Delhi. 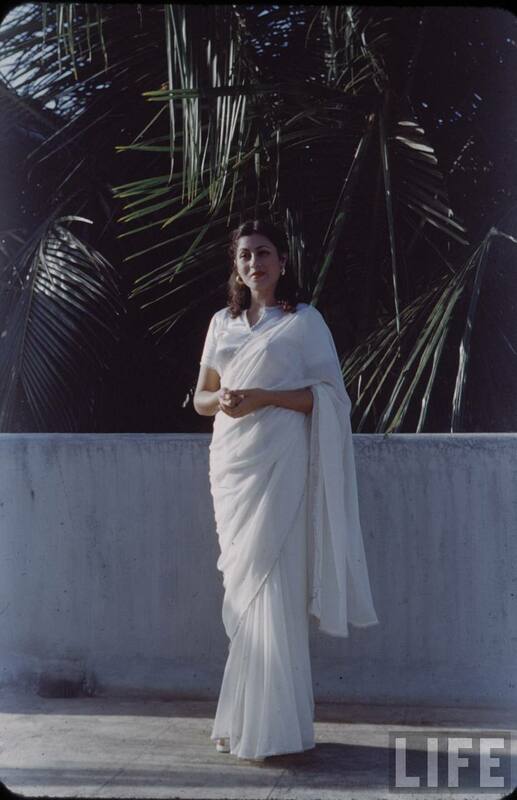 She was the fifth child among eleven children. 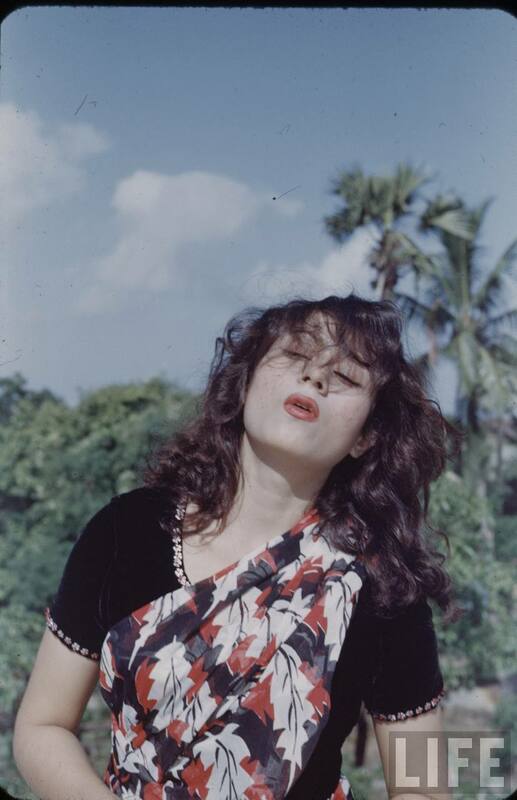 According to her sister Madhur Bhushan, she was reportedly born a blue baby which would later have implications on her health. 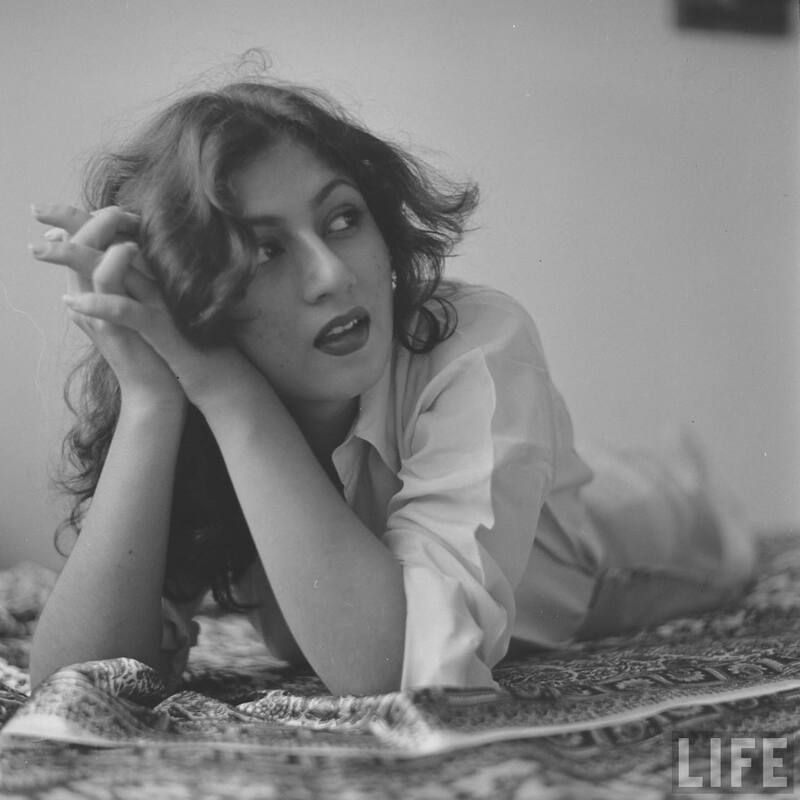 After Madhubala's father, Ataullah Khan, lost his job at the Imperial Tobacco Company in Delhi, he relocated his family to Mumbai where they faced many hardships including the deaths of her three sisters and two brothers at the ages five and six. 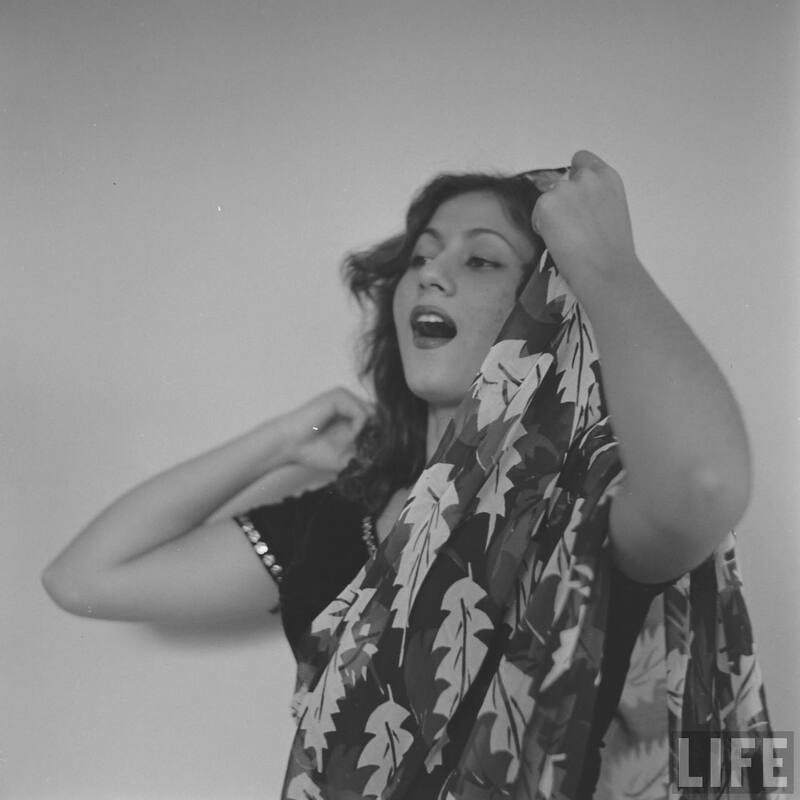 With his six remaining daughters to provide for, Ataullah Khan and young Mumtaz began to pay frequent visits to the Bombay Studios looking for work. 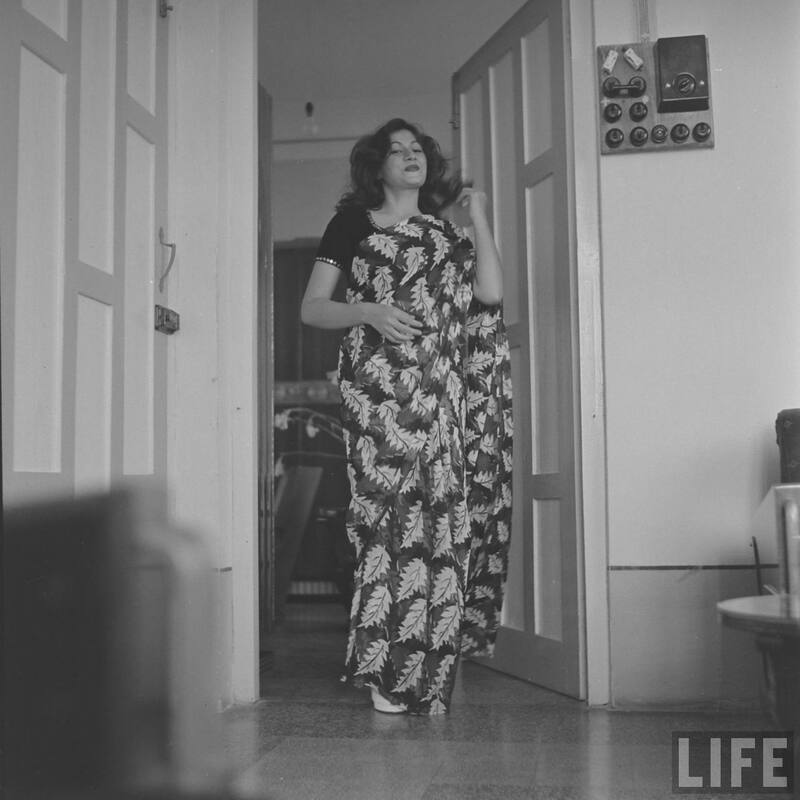 This was how Mumtaz entered the movie industry at the age of nine in order to provide financial help for her family. 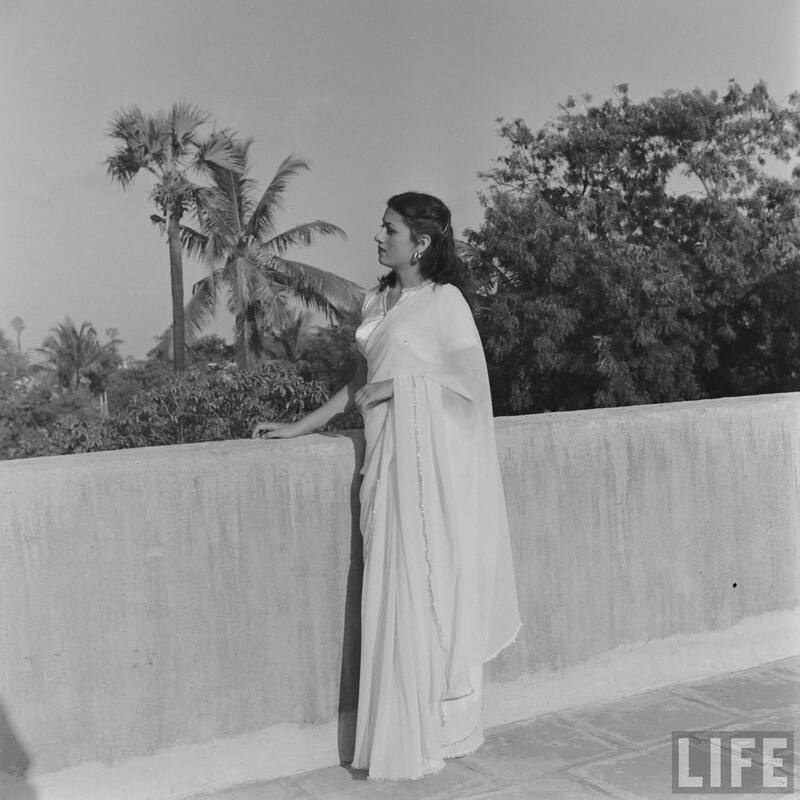 Mumtaz’s first movie Basant (1942) was a box-office success. 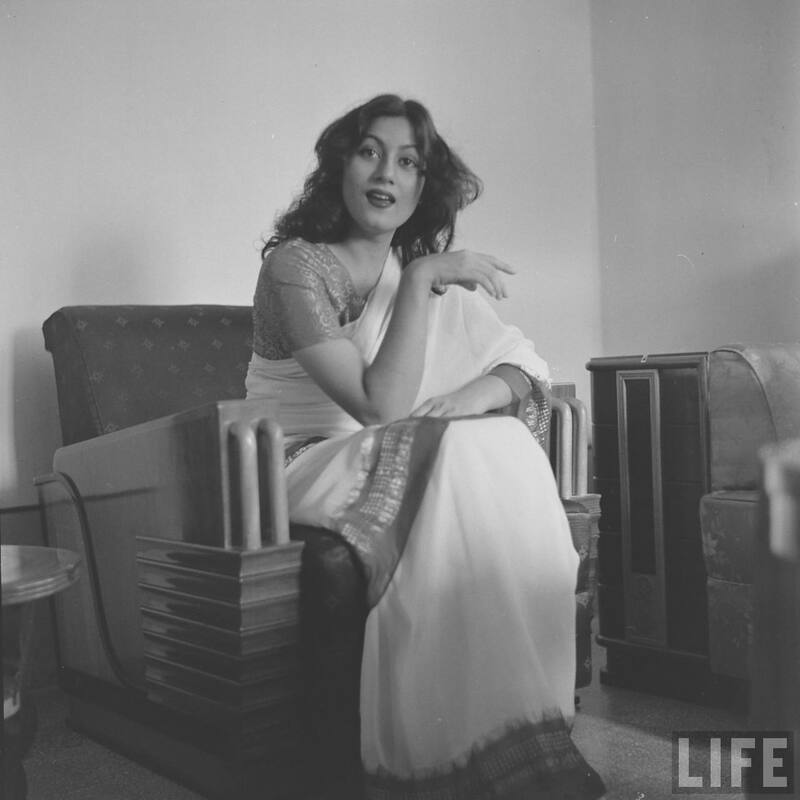 She played the character of the daughter of the popular actress Mumtaz Shanti. 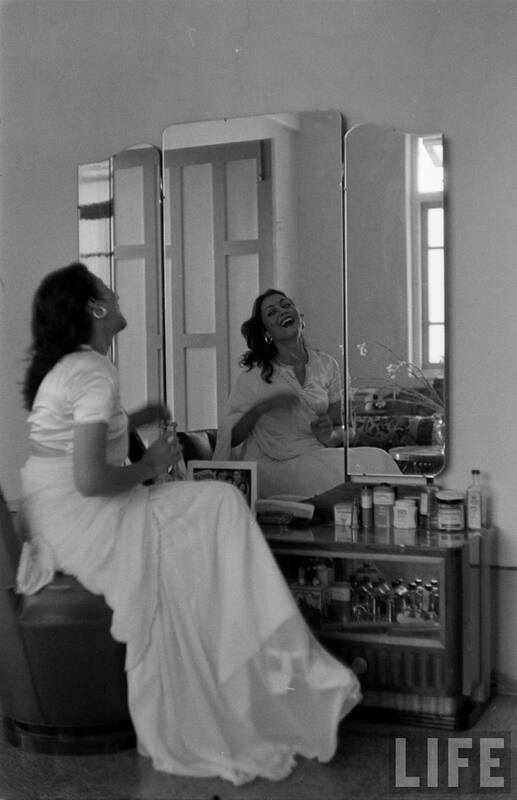 She further went on to act in several movies as a child artist. 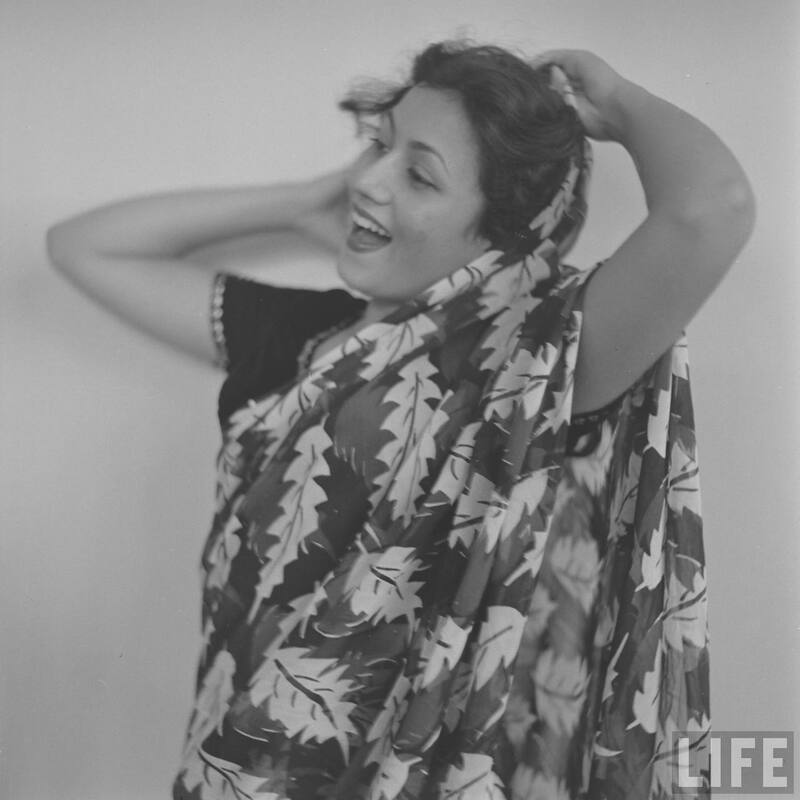 Actress Devika Rani was impressed by her performances and potential and advised her to assume the name Madhubala, which meant "a woman of honey". 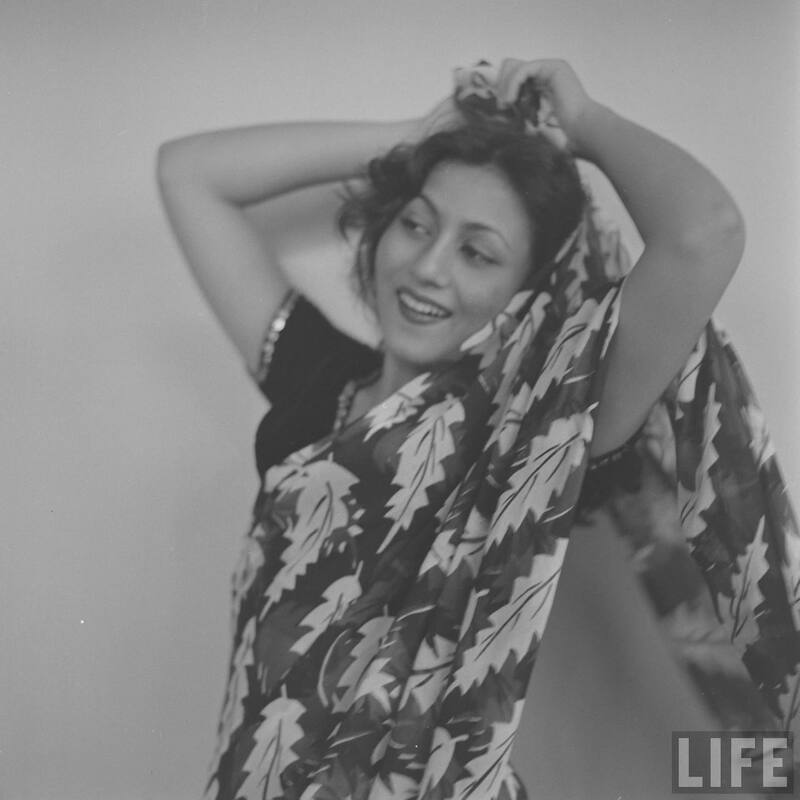 Madhubala soon garnered reputation as a reliable professional performer. 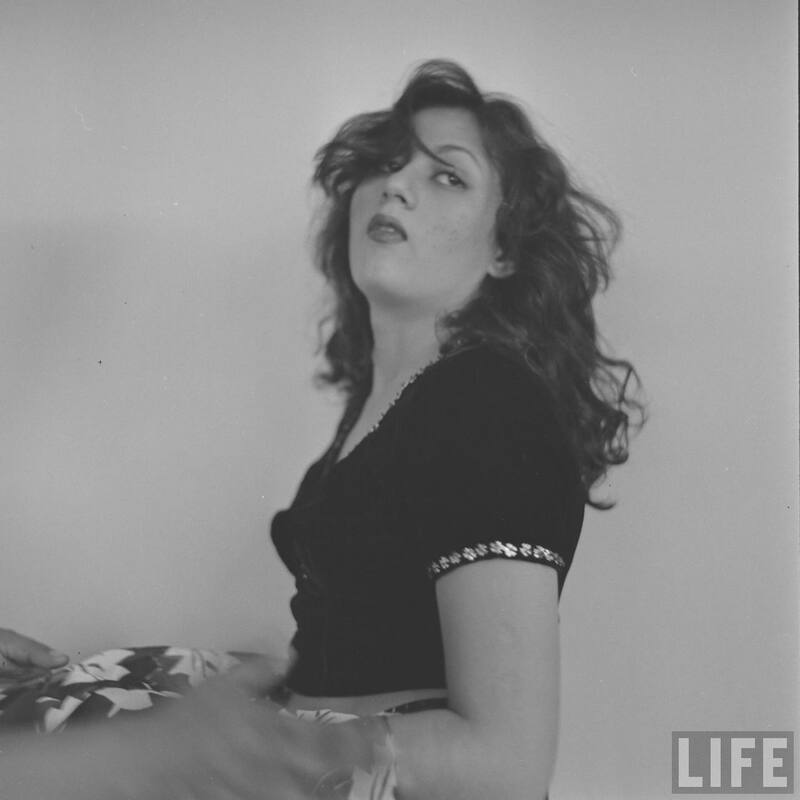 By the time she entered adolescence, she was being groomed for lead roles. 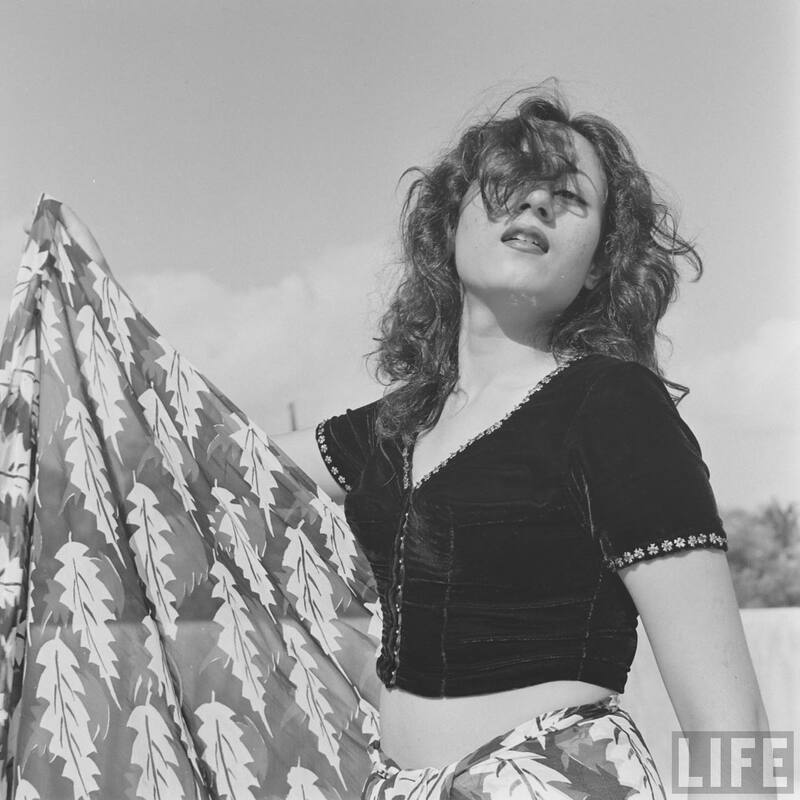 Her first break came when producer Kidar Sharma cast her opposite Raj Kapoor in Neel Kamal (1947). 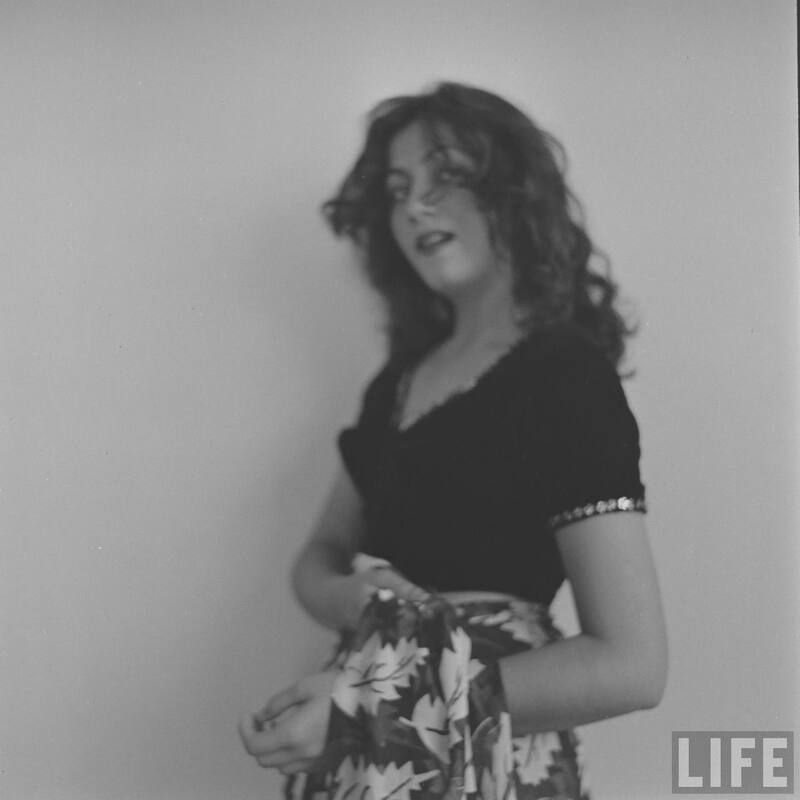 She was fourteen when she was given the lead role in the movie. 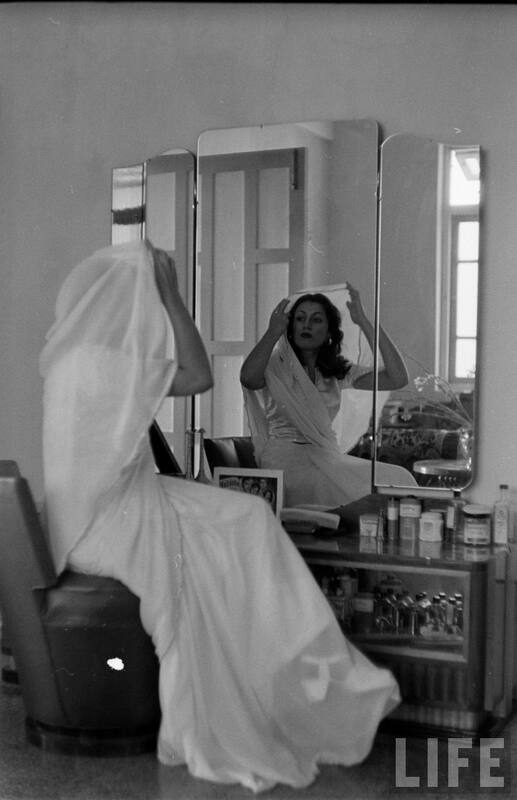 The film was not a commercial success, but her performance was well received. 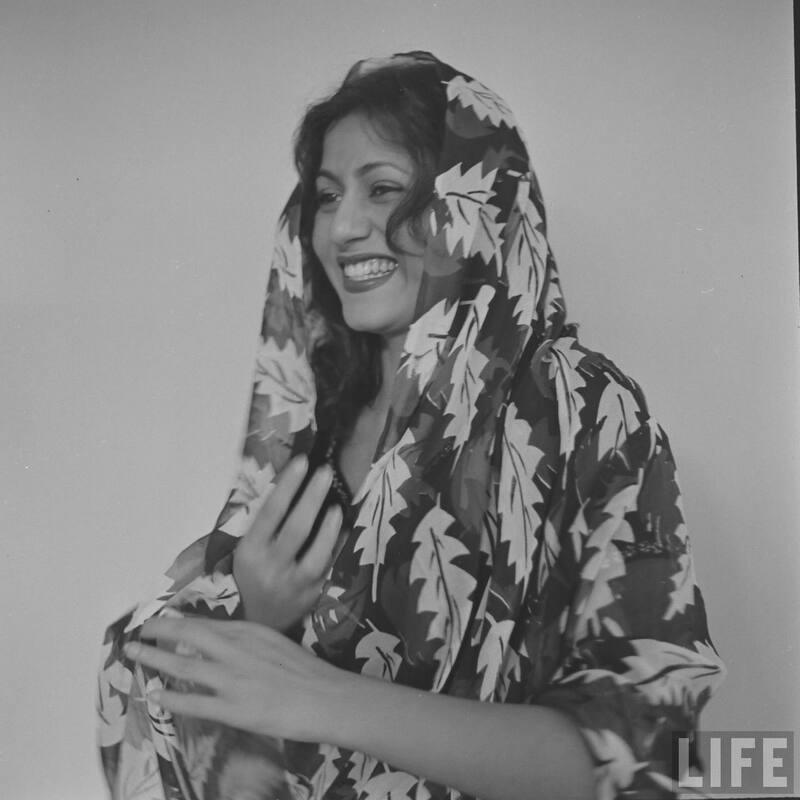 This was also the last film in which she was credited as Mumtaz before assuming her screen name Madhubala. During the next two years, she blossomed into a captivating beauty. 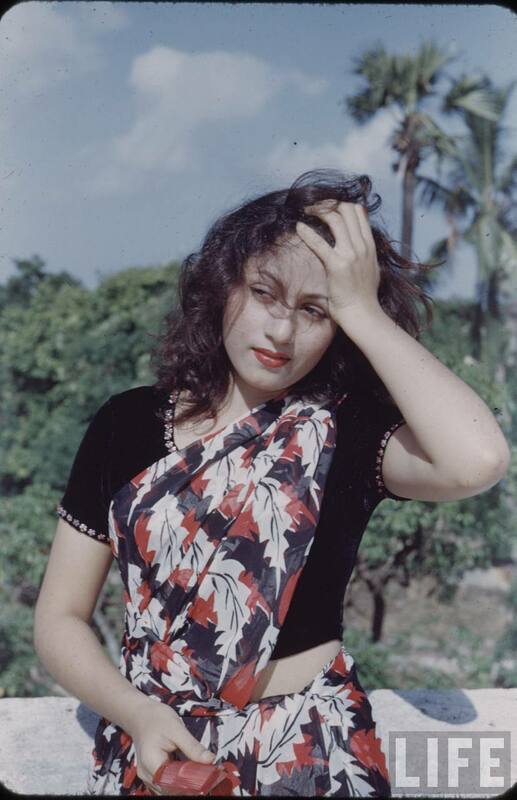 However it was not until she was cast in the coveted female lead role in Bombay Talkies prestigious and anticipated production Mahal in (1949), (a role intended for super star Suraiya) that Madhubala attained immense popularity. 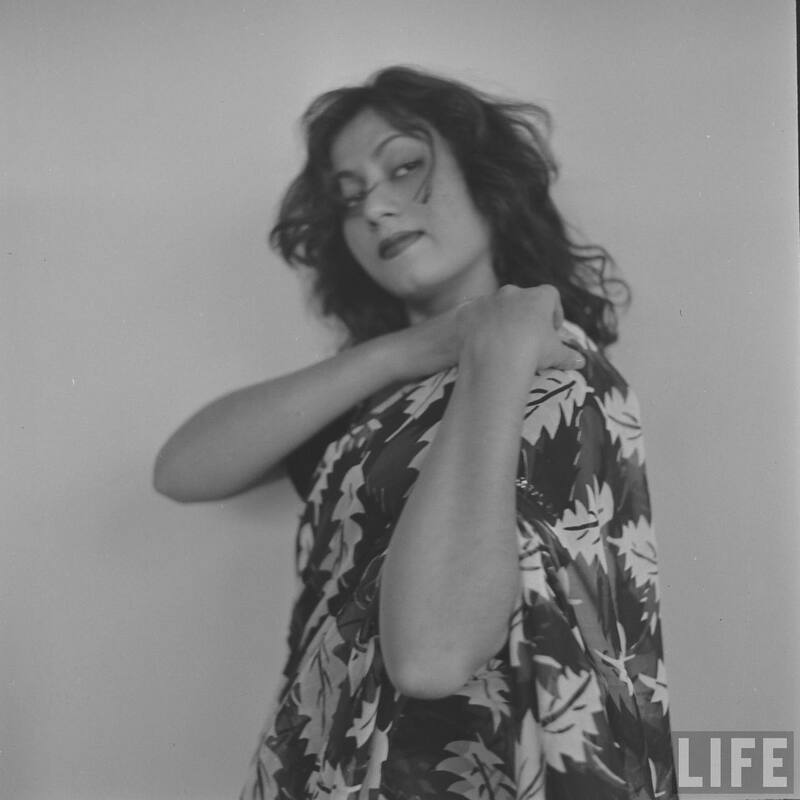 Madhubala was found to have a heart problem after she coughed up blood in 1950. She was discovered to have been born with a ventricular septal defect, commonly known as a "hole in the heart". 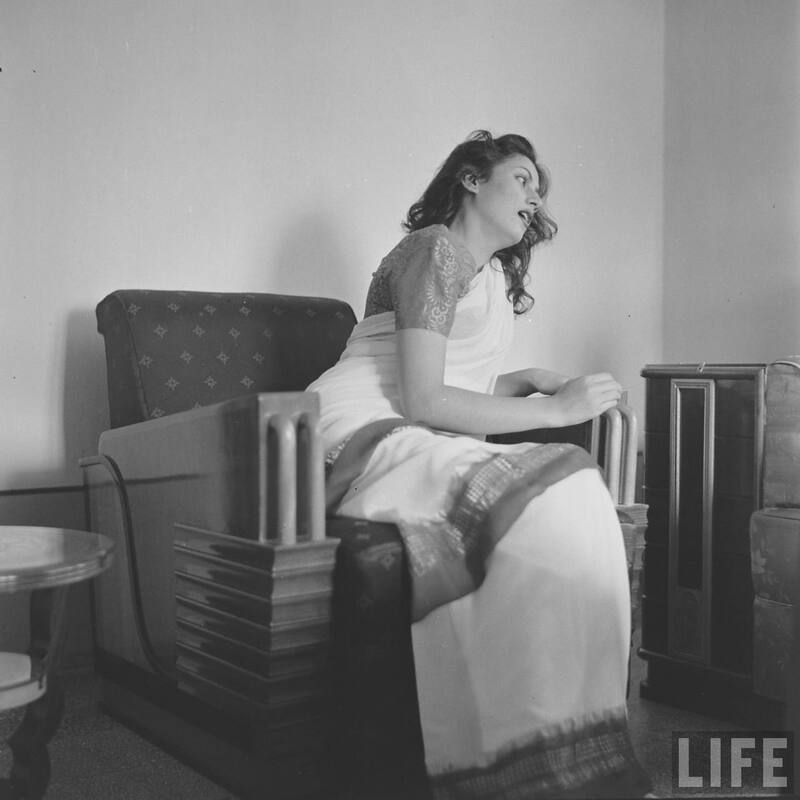 At the time, the facility of a heart surgery was not widely available in India. 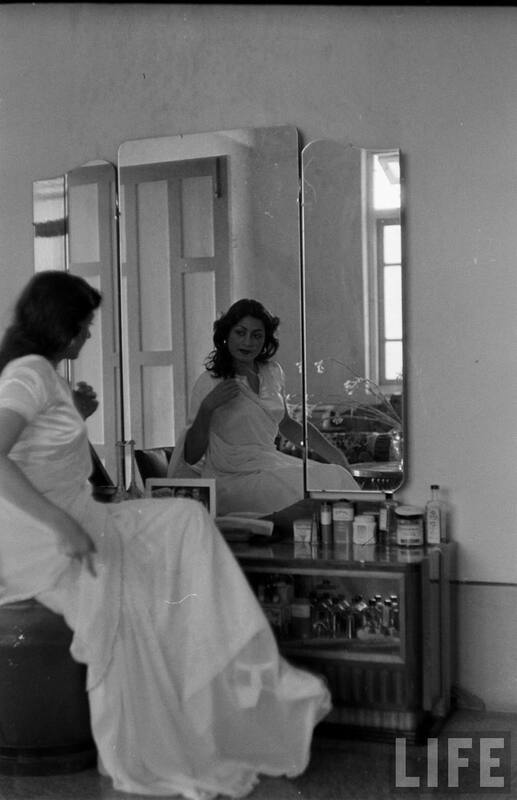 Madhubala hid her illness from the film industry for many years, but this one incident was widely reported by the media in the year 1954: While she was filming in Madras for S. S. Vasan's Bahut Din Huwe, she vomited blood on the set. Vasan and his wife took care of her until she was well again. 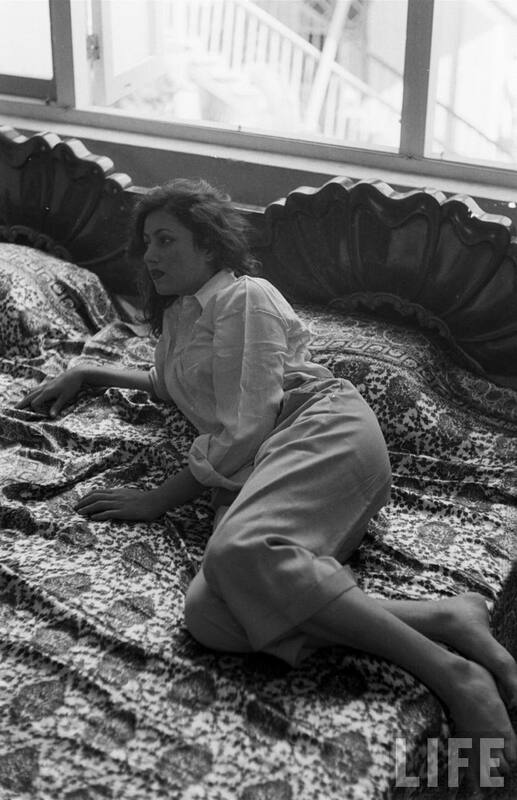 She continued to work and established herself as an A-grade star. 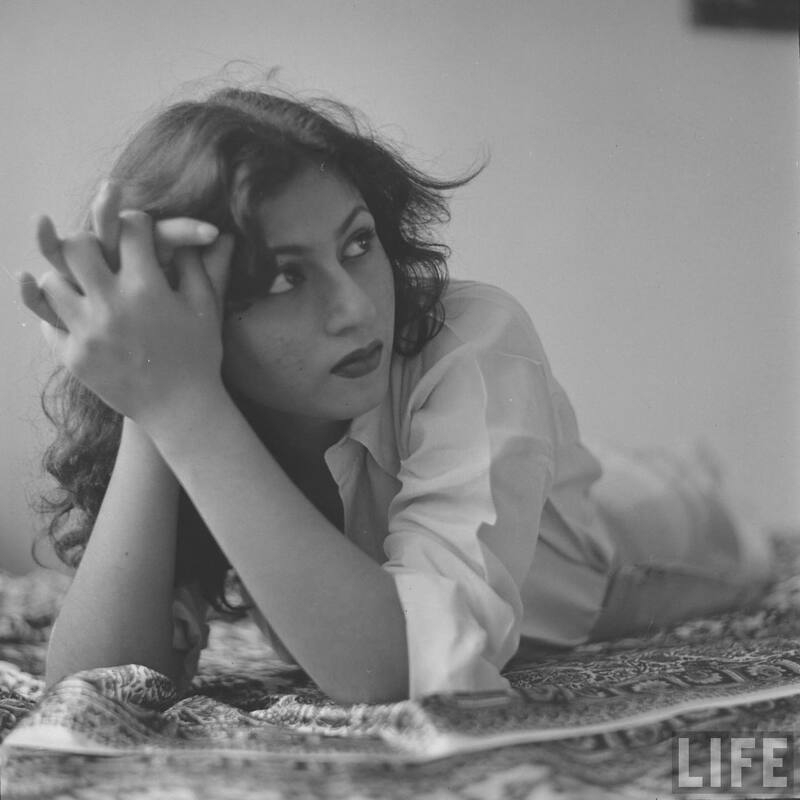 In the early 1950s as Madhubala became one of the most sought-after actresses in India, she also attracted interest from Hollywood. 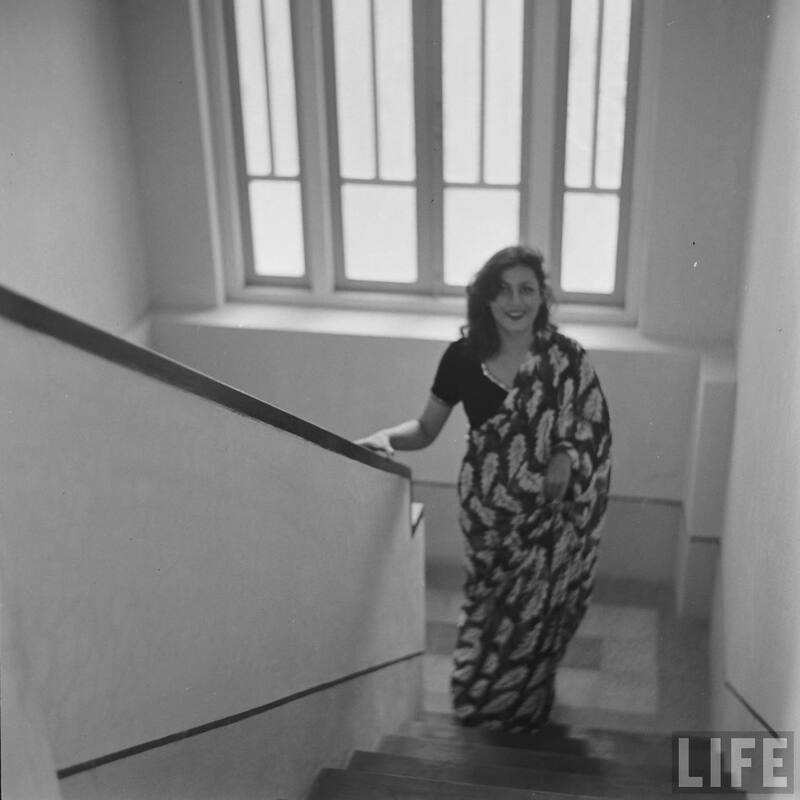 As a star, Madhubala did ascend to the top of the industry. 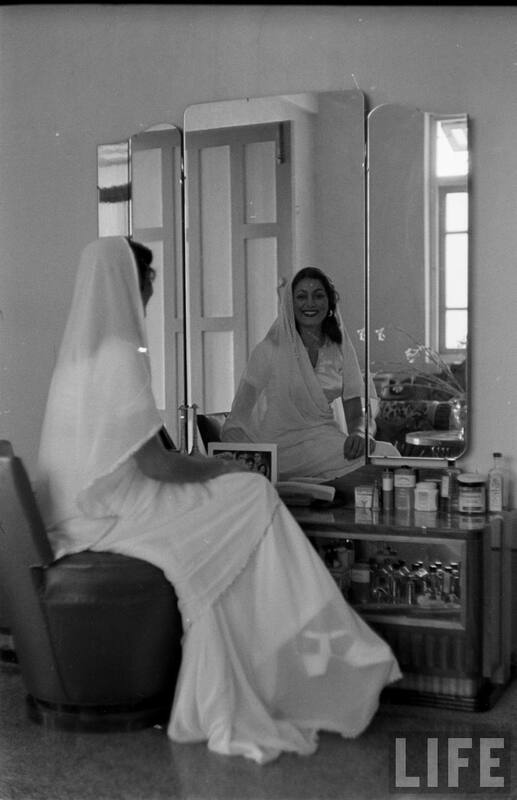 Her co-stars at the time were the most popular of the period: Ashok Kumar, Raj Kapoor, Rehman, Pradeep Kumar, Shammi Kapoor, Dilip Kumar, Sunil Dutt and Dev Anand. 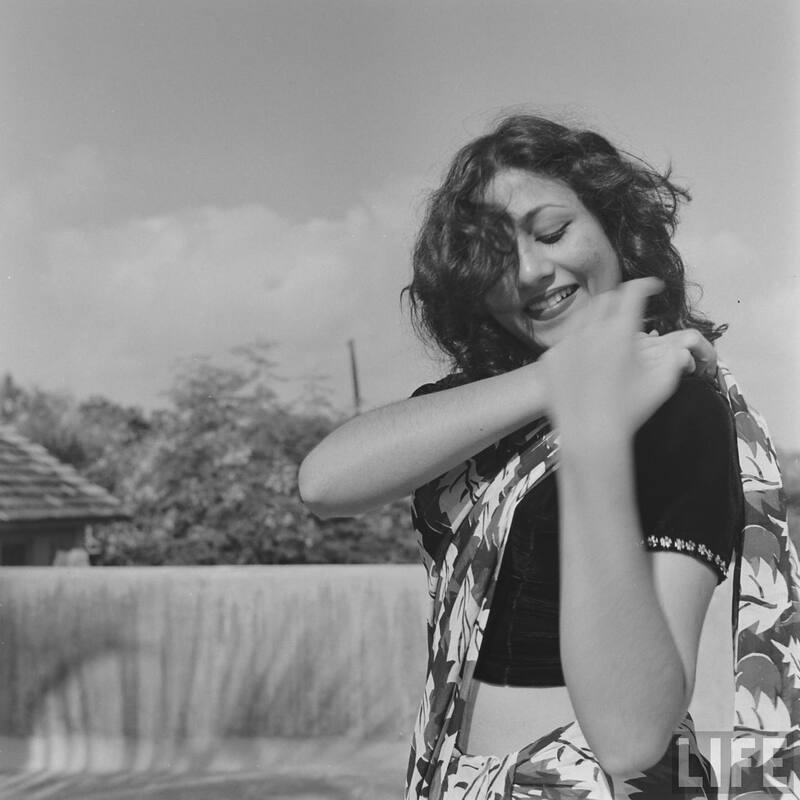 Madhubala also appeared alongside many notable leading ladies of the time including Kamini Kaushal, Suraiya, Geeta Bali, Nalini Jaywant, Shyama and Nimmi. 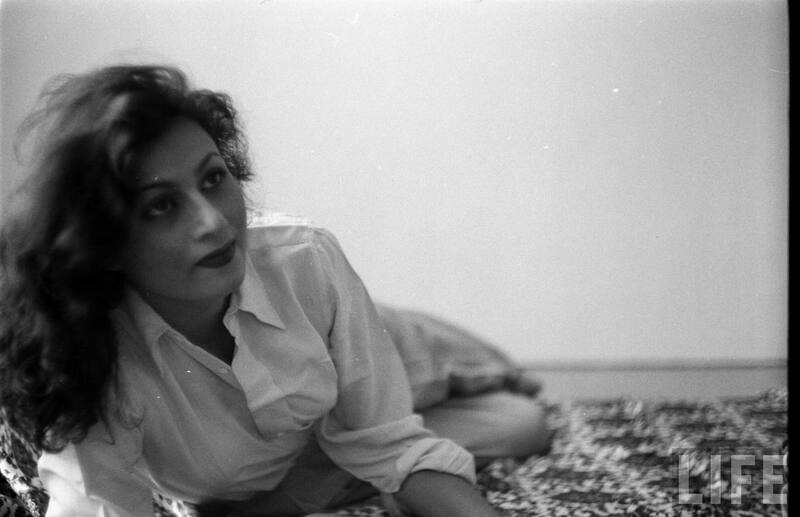 The directors she worked with were amongst the most prolific and respected: Mehboob Khan (Amar), Guru Dutt (Mr. & Mrs. '55), Kamal Amrohi (Mahal) and K. Asif (Mughal-e-Azam) . 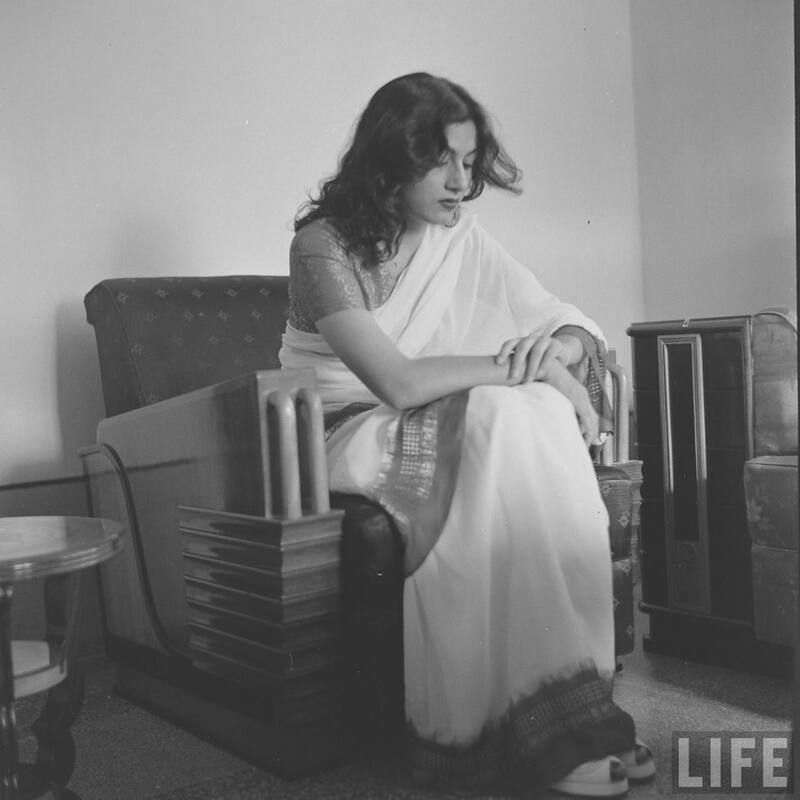 She also ventured into production and made the film Naata (1955) which she also acted in. 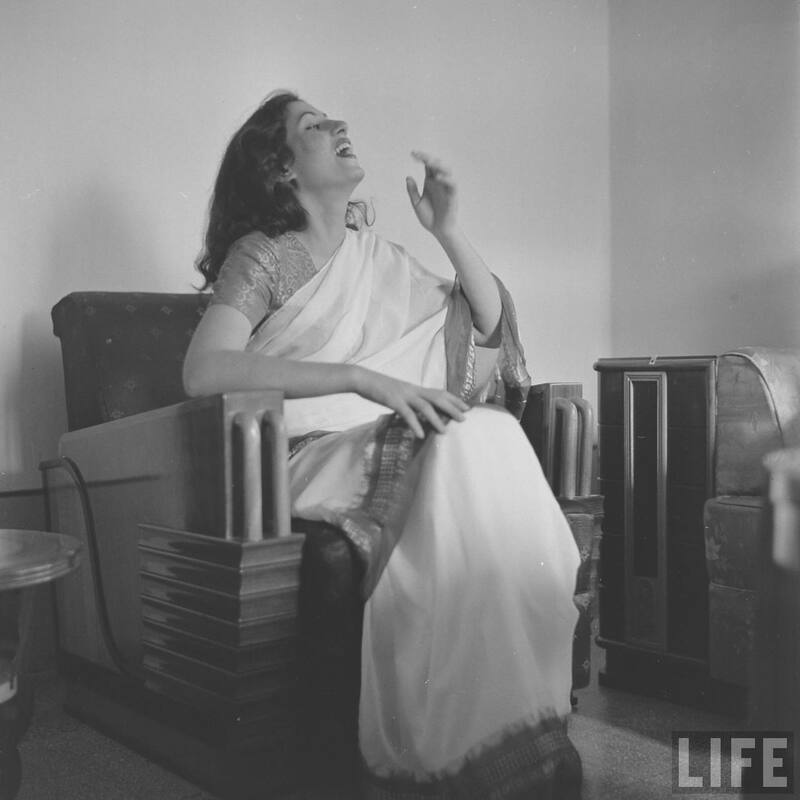 Suddenly in the mid-1950s her films, even major ones like Mehboob Khan's Amar (1954), fared so badly commercially that she was labelled "Box Office Poison". 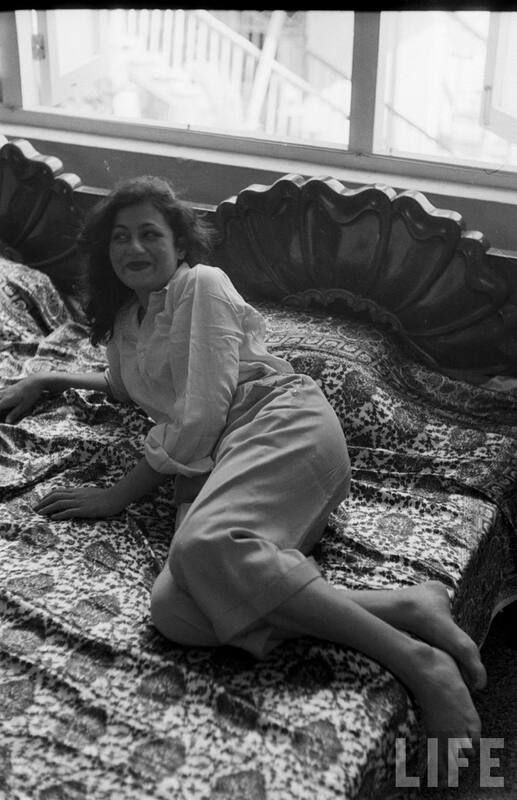 She turned her career around in 1958, with a string of hit films: Howrah Bridge opposite Ashok Kumar featured Madhubala in the unusual role of an Anglo-Indian Cabaret singer, embroiled in Calcutta's Chinatown underworld. 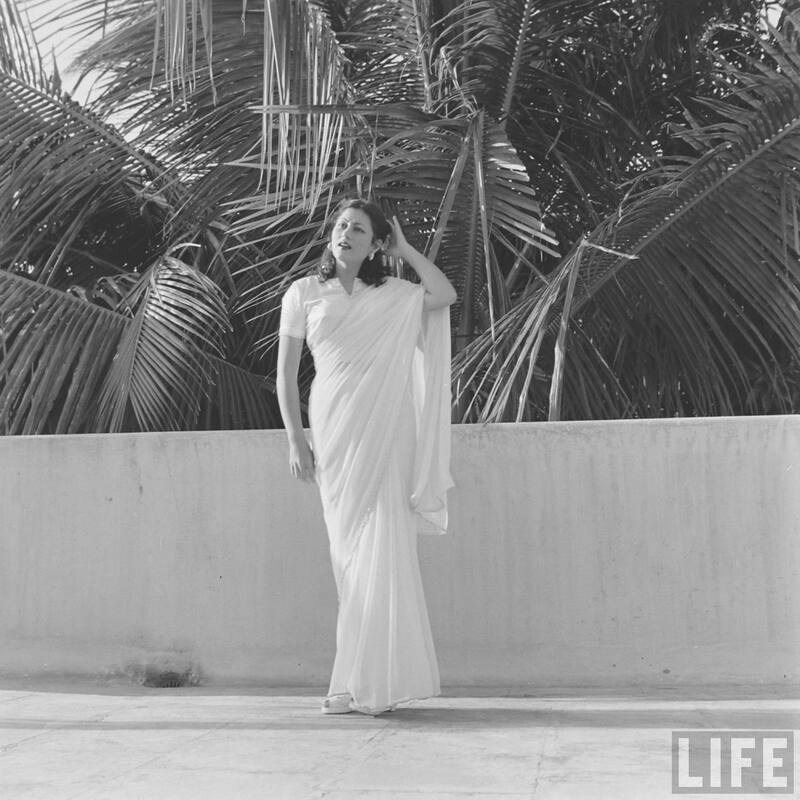 She made a big impact with a daring (for the time) Westernized image, with her cascading locks, deep cut blouses, fitted Capri pants and tailored Chinese dresses. 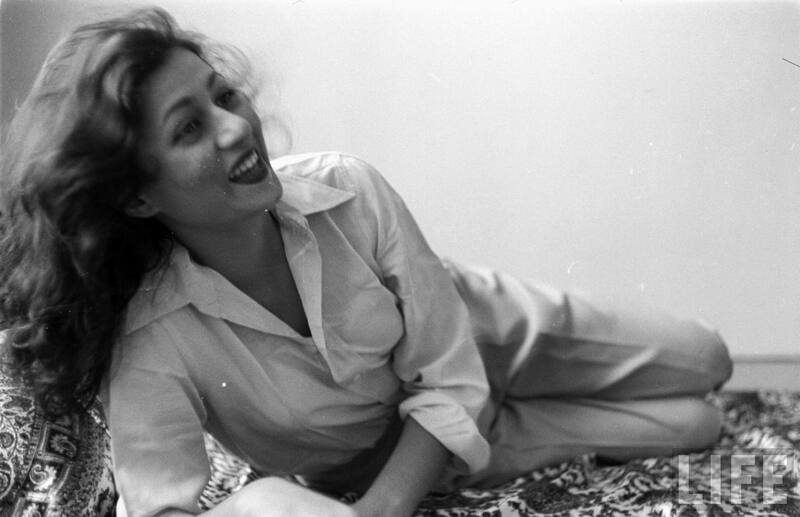 Madhubala's sensuous torch song from the film, Aaiye Meherebaan, dubbed by Asha Bhosle, was a popular hit with audiences, and is widely quoted and celebrated to this day. 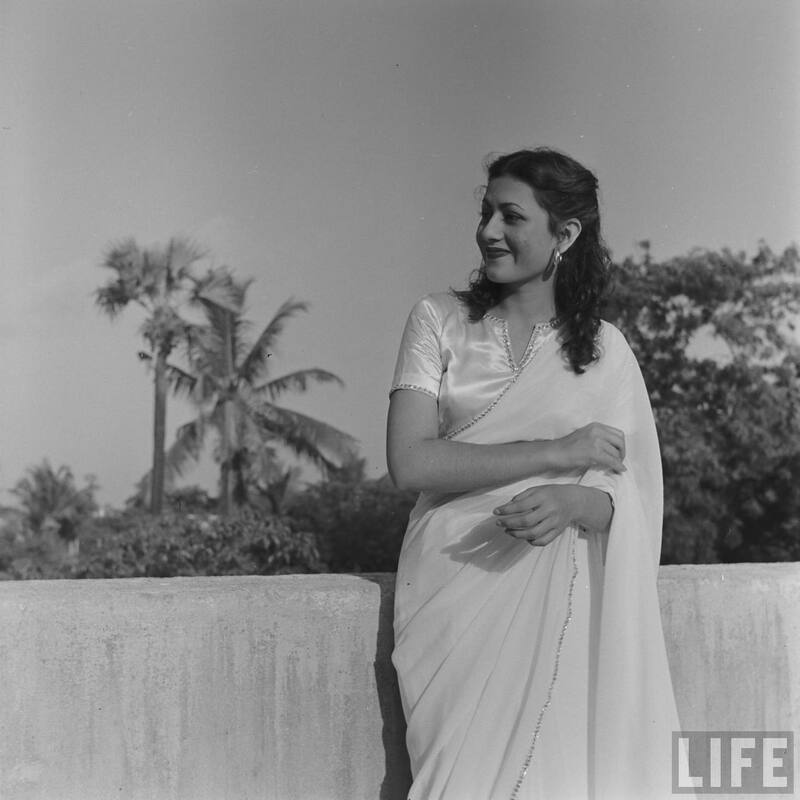 Howrah Bridge was followed by Phagun opposite Bharat Bhushan, Kala Pani opposite Dev Anand, the perennial hit Chalti Ka Naam Gaadi opposite her would-be-husband, Kishore Kumar and Barsaat Ki Raat (1960), opposite Bharat Bhushan again. 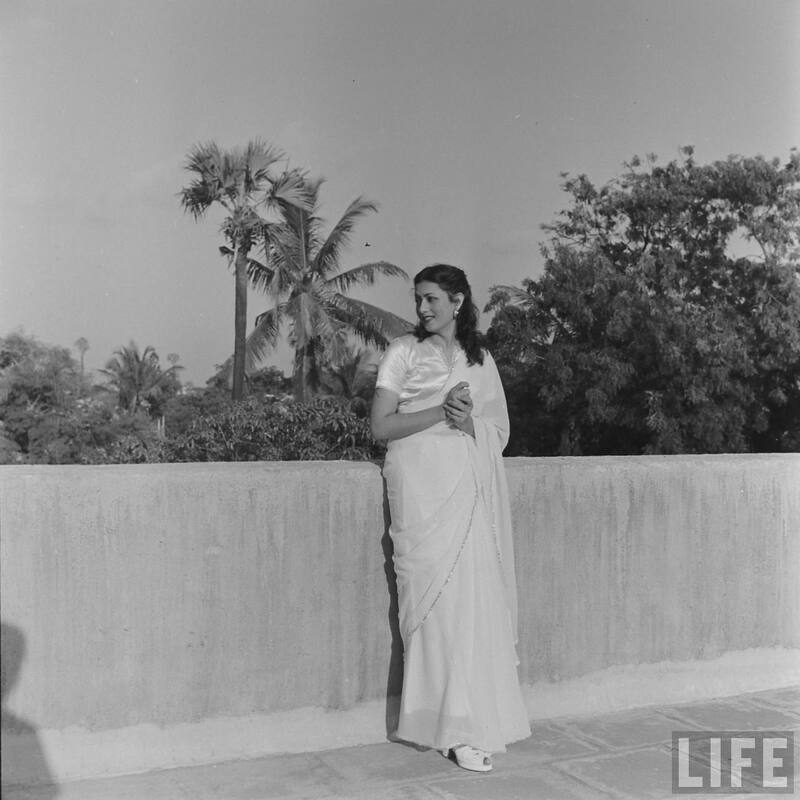 In 1960, she consolidated previous successes, and her super-star status when she went on to appear in the epic mega-budget historical, Mughal-e-Azam. 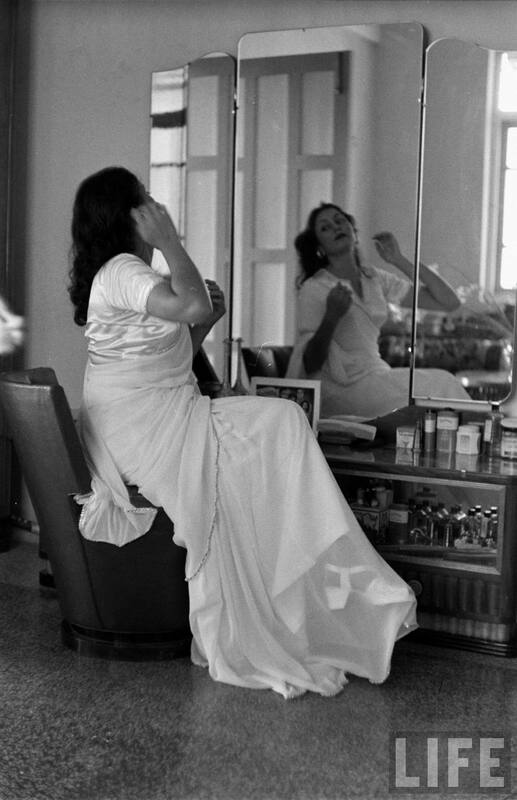 This film is widely perceived to be the crowning glory of her career and perhaps the decade of filmmaking in India. On 5 August 1960, Mughal-e-Azam released and became the biggest grossing film at that time, a record that went unbroken for 15 years until the release of the film Sholay in 1975. 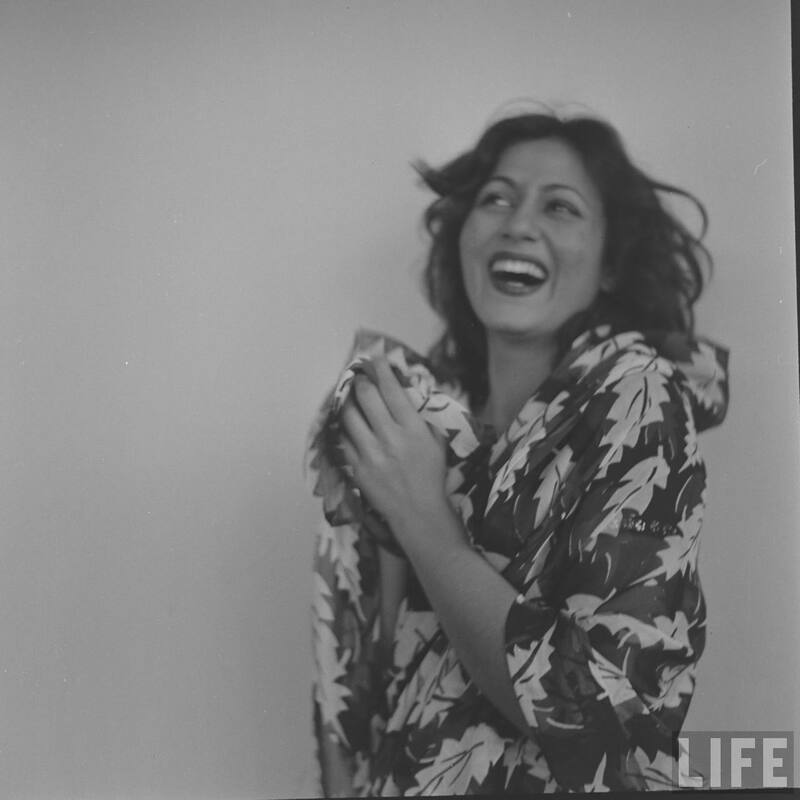 In 1960, Madhubala hit the peak of her career and popularity with the release of back-to-back blockbusters Mughal-e-Azam and Barsaat Ki Raat. 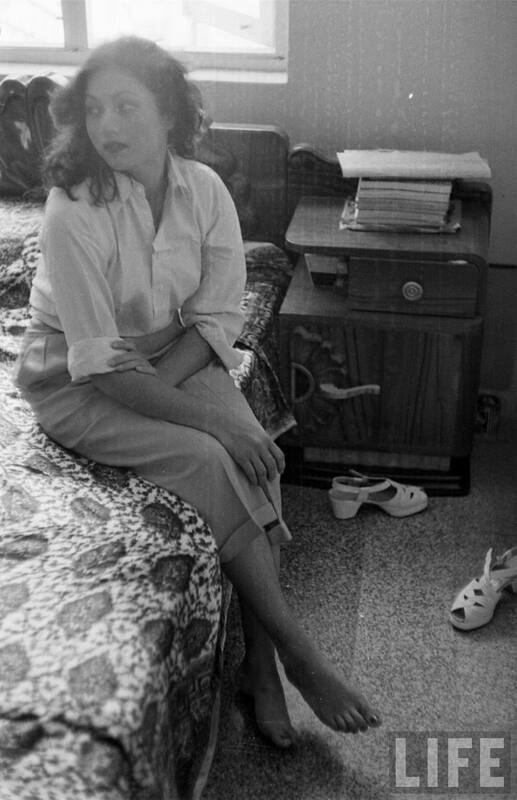 She was offered strong, author-backed roles, but her deteriorating health did not permit her to enjoy this period and develop as an actress. 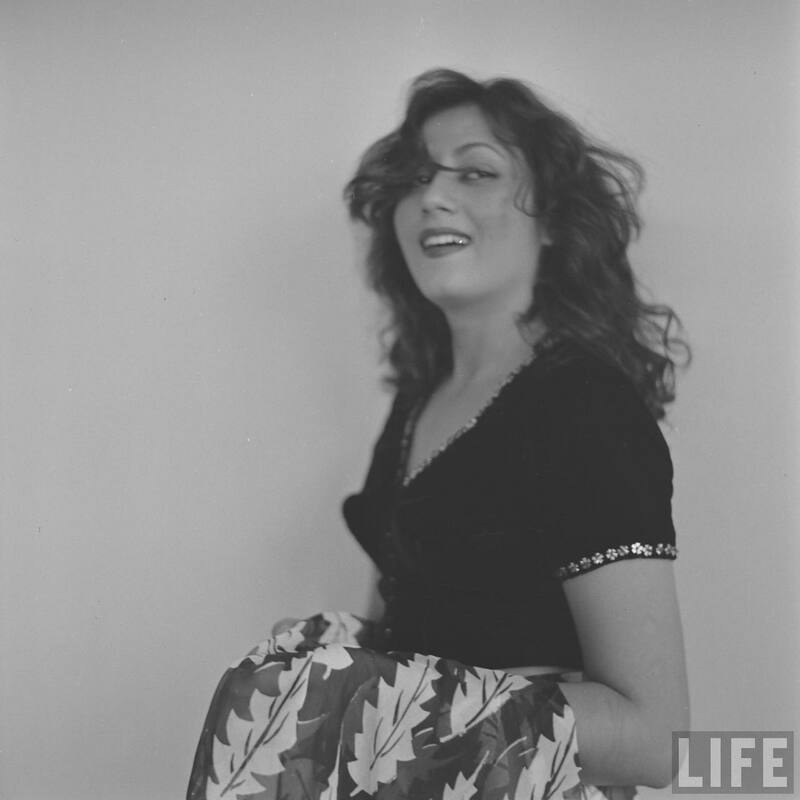 Madhubala is said to have had several relationships according to a biography on the actress by journalist Mohan Deep. 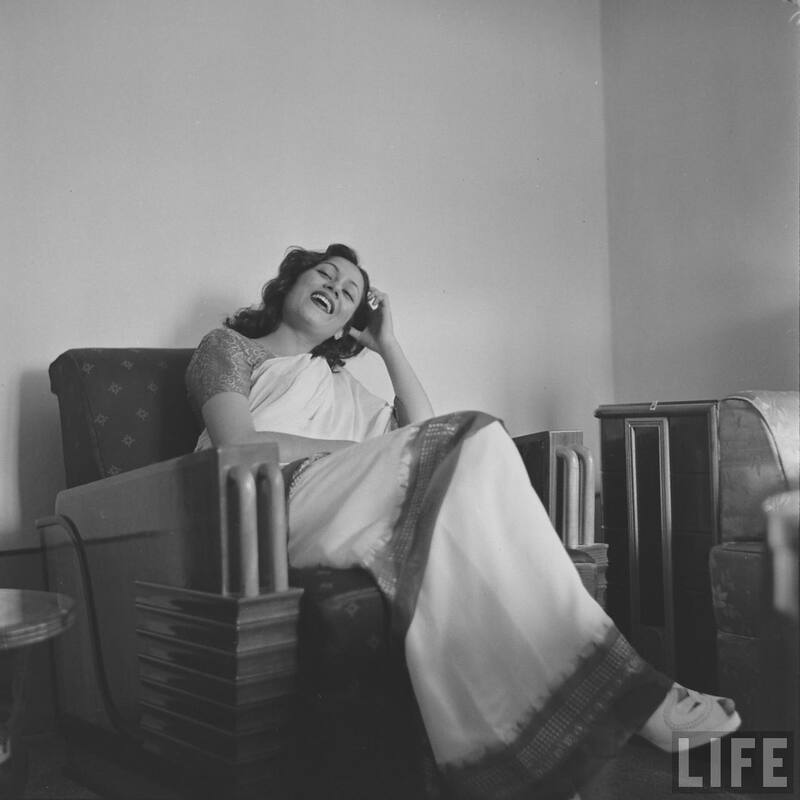 Her most public relationship was with actor Dilip Kumar. 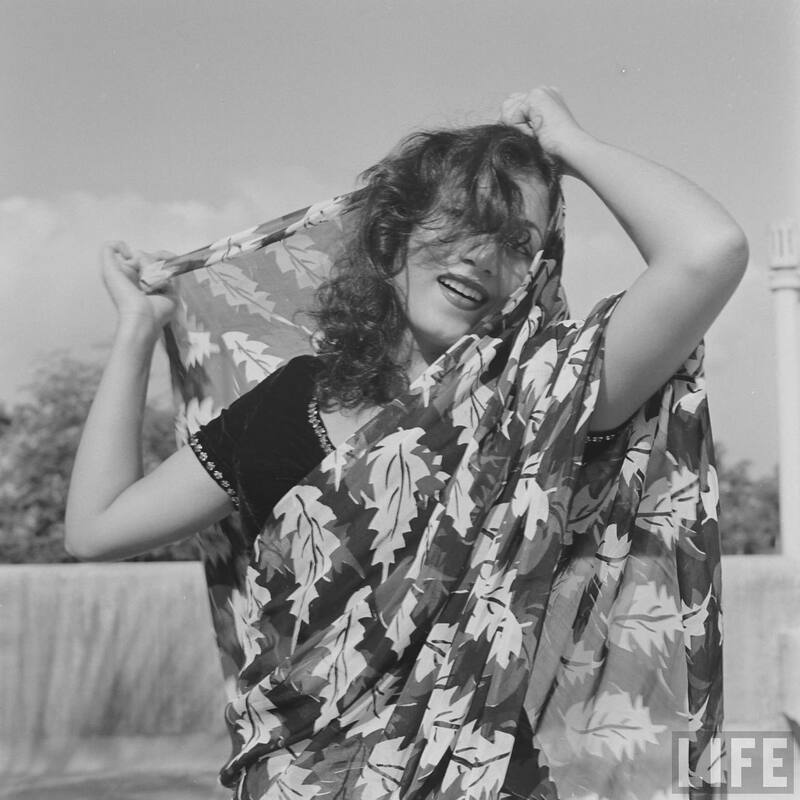 Dilip Kumar and Madhubala first met on the sets of Jwar Bhata (1944), and worked together again in the film Har Singaar (1949) which was shelved. 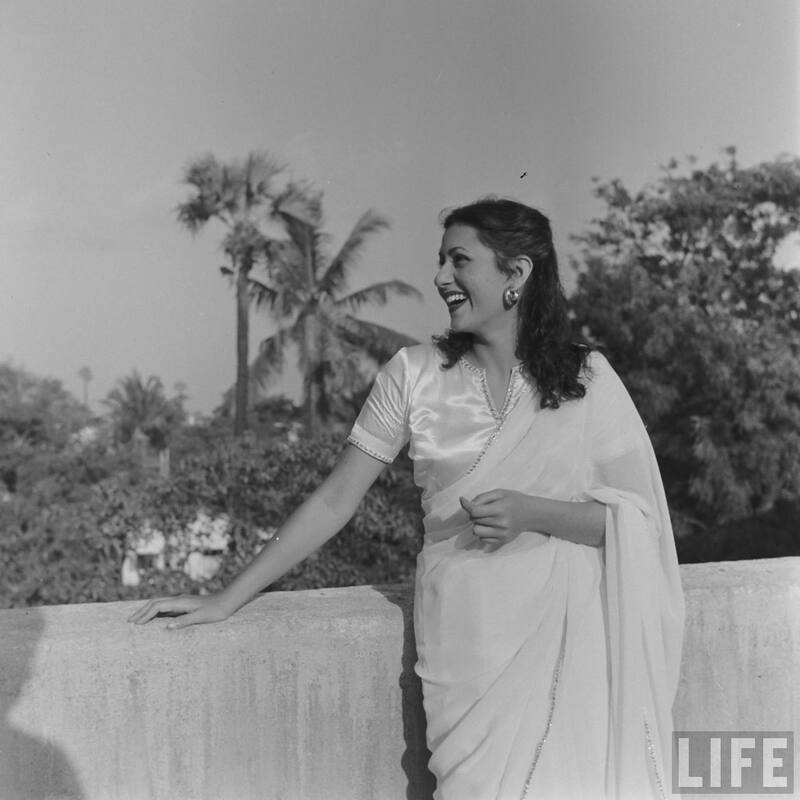 Their relationship began two years later during the filming of, Tarana (1951). 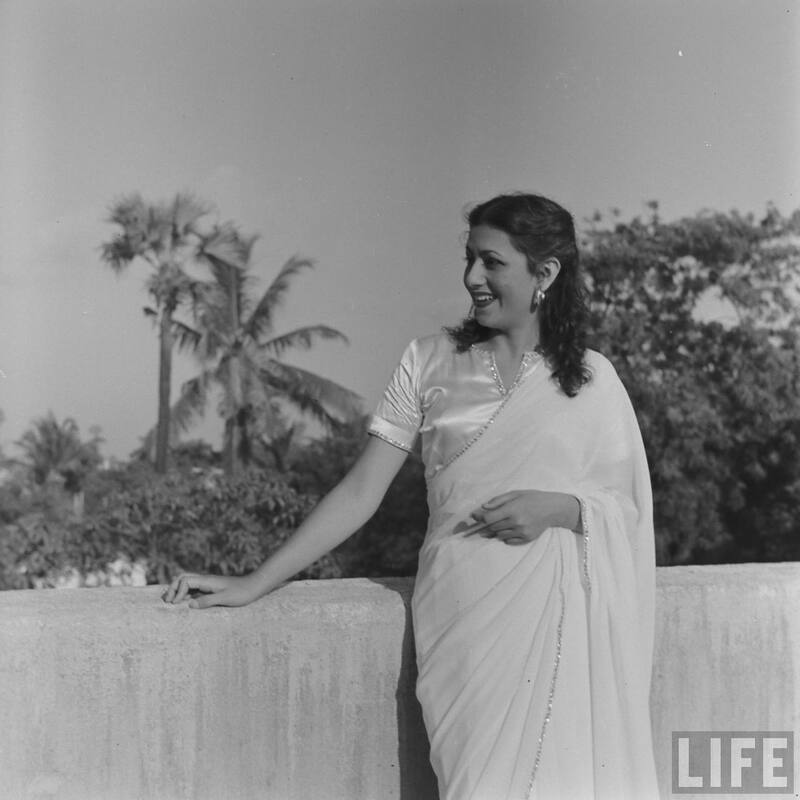 They also became a popular romantic screen team appearing in a total of four films together. 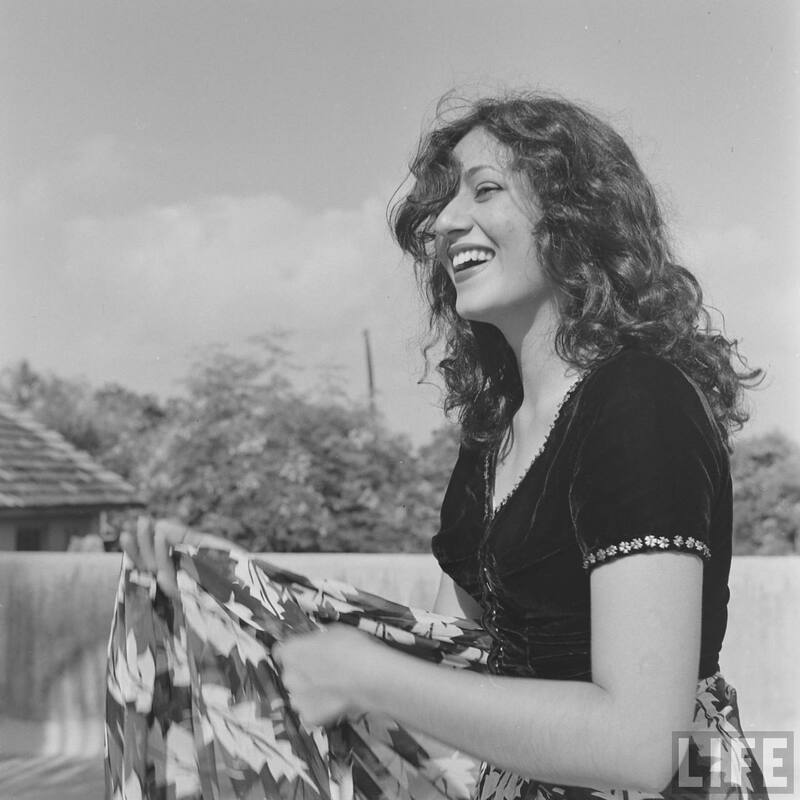 Madhubala's romance with Kumar lasted for five years, between 1951 and 1956. Their association was ended following a controversial court case. B.R. 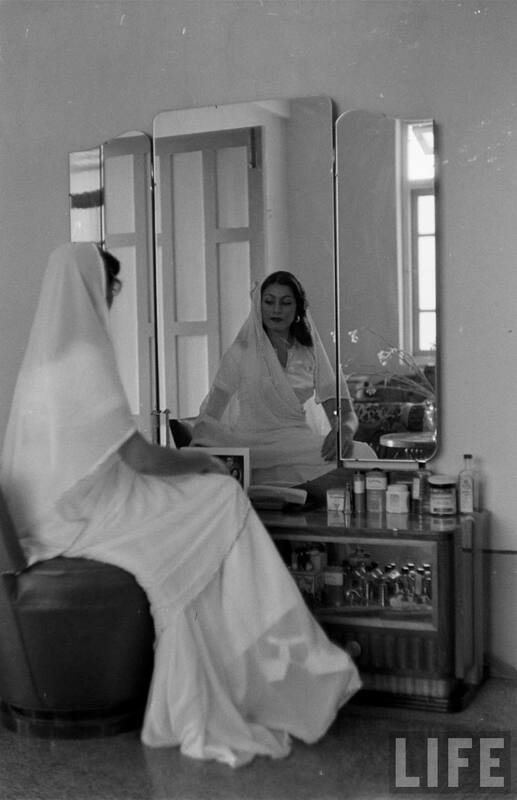 Chopra, the director of the film Madhubala and Dilip Kumar were currently starring in, Naya Daur (1957), wanted the unit to travel to Bhopal for an extended outdoor shooting. 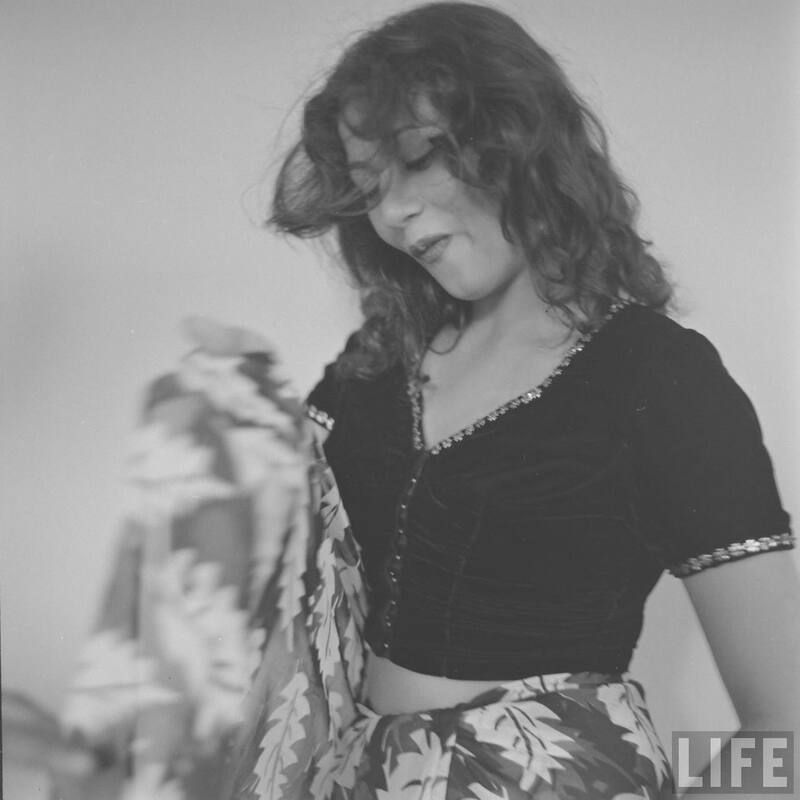 Ataullah Khan objected and even claimed that the entire Bhopal schedule was a ruse to give Dilip Kumar the opportunity to romance his daughter. 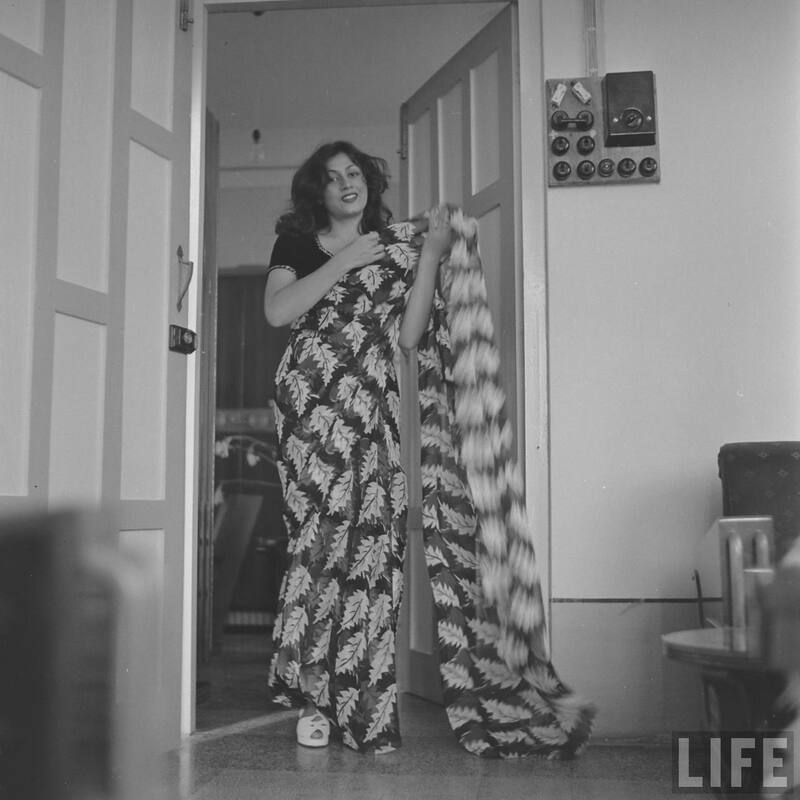 Finally, B. R. Chopra sued Madhubala for the cash advance she received from him for a film she now had no intention of completing. 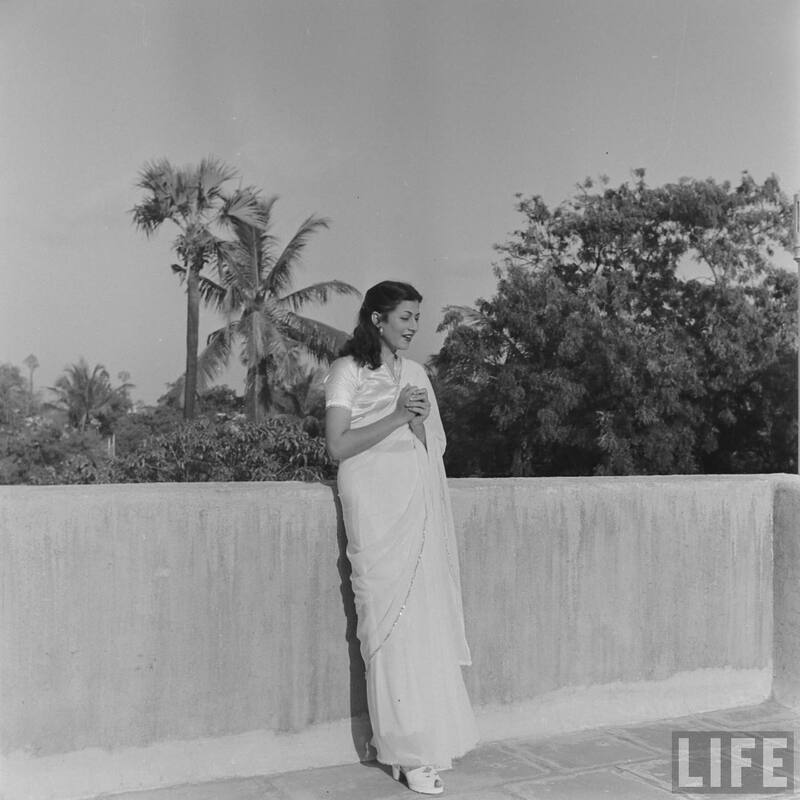 He also replaced her with South Indian actress Vyjayanthimala. 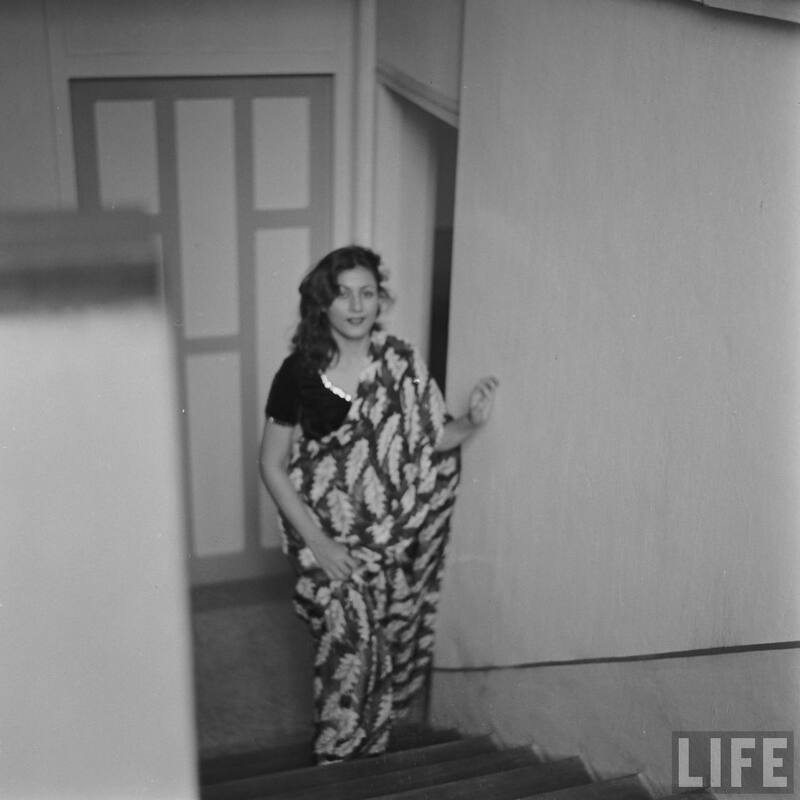 Madhubala supported her father despite her commitment to Dilip Kumar. 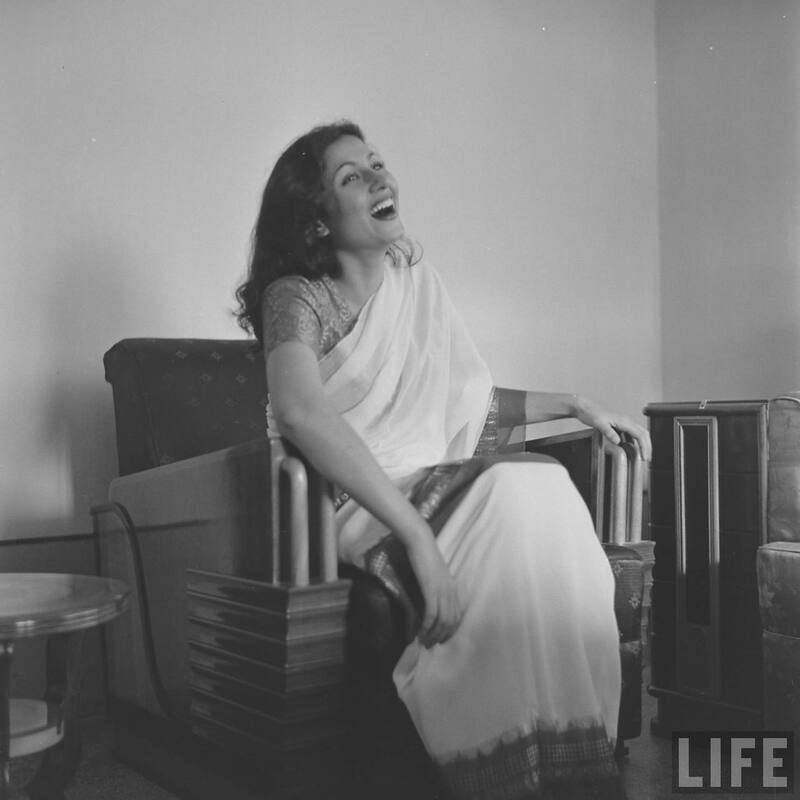 Dilip Kumar testified against Madhubala and Ataullah Khan in favor of the director B.R. Chopra in court. 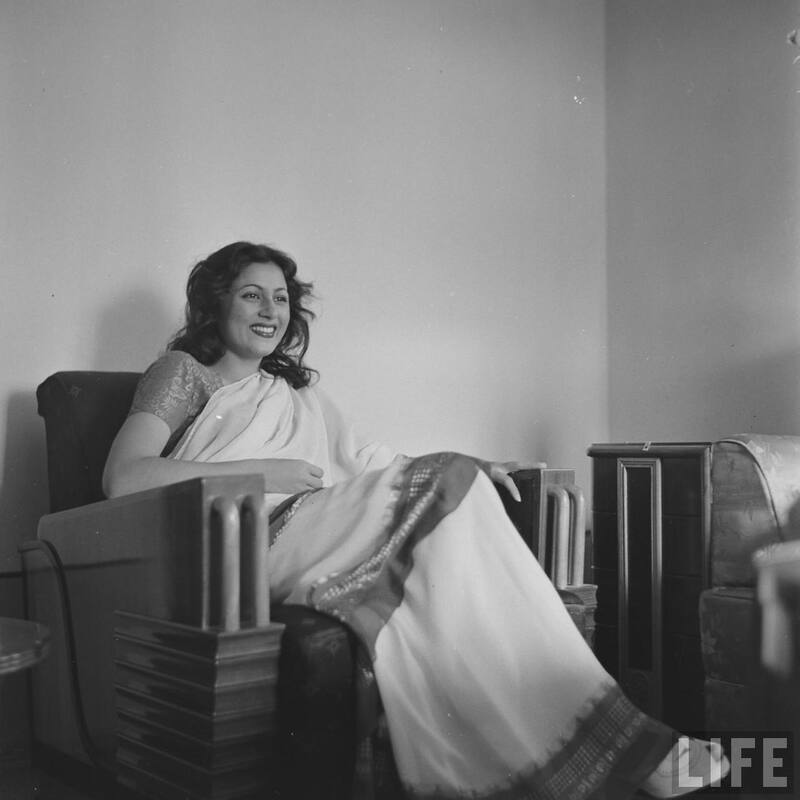 Madhubala and her father lost the case amid much negative publicity. 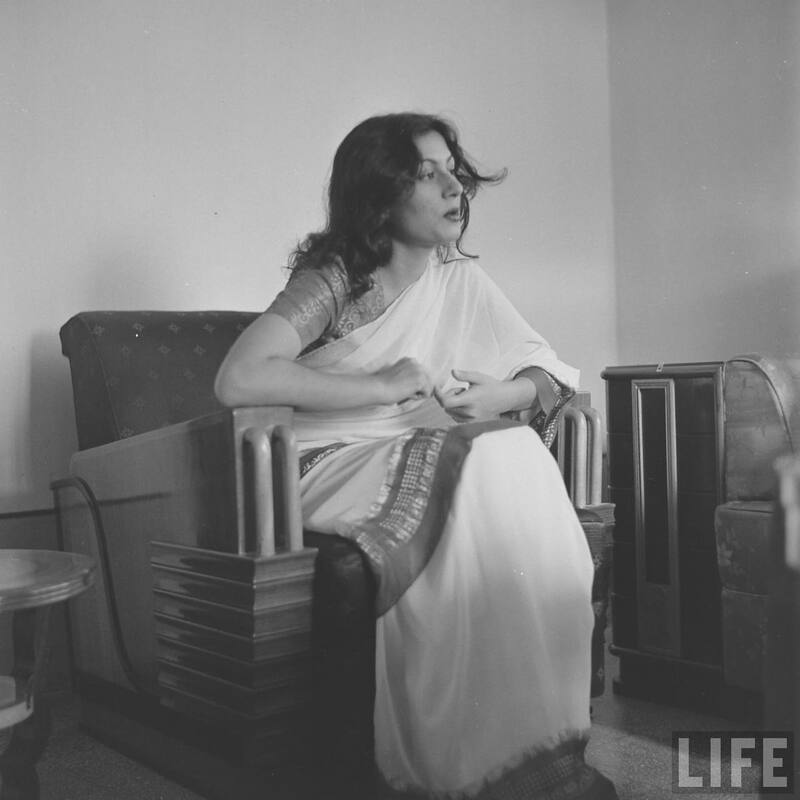 Madhubala and Dilip Kumar were effectively separated from that point on. 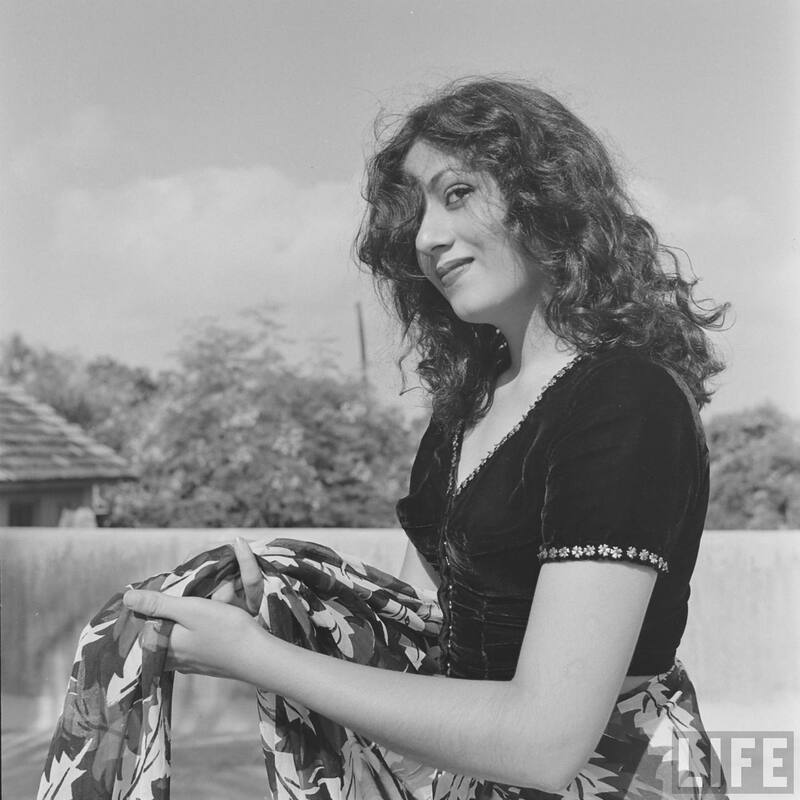 Madhubala met her husband, actor and playback singer, Kishore Kumar during the filming of Chalti Ka Naam Gaadi (1958). 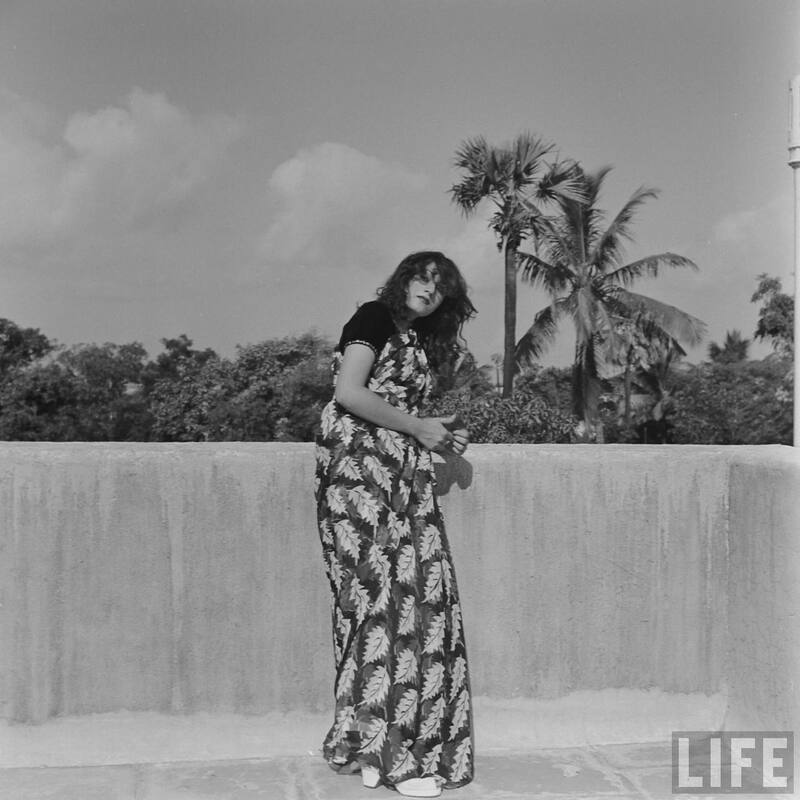 At the time he was married to the Bengali singer and actress Ruma Guha Thakurta . 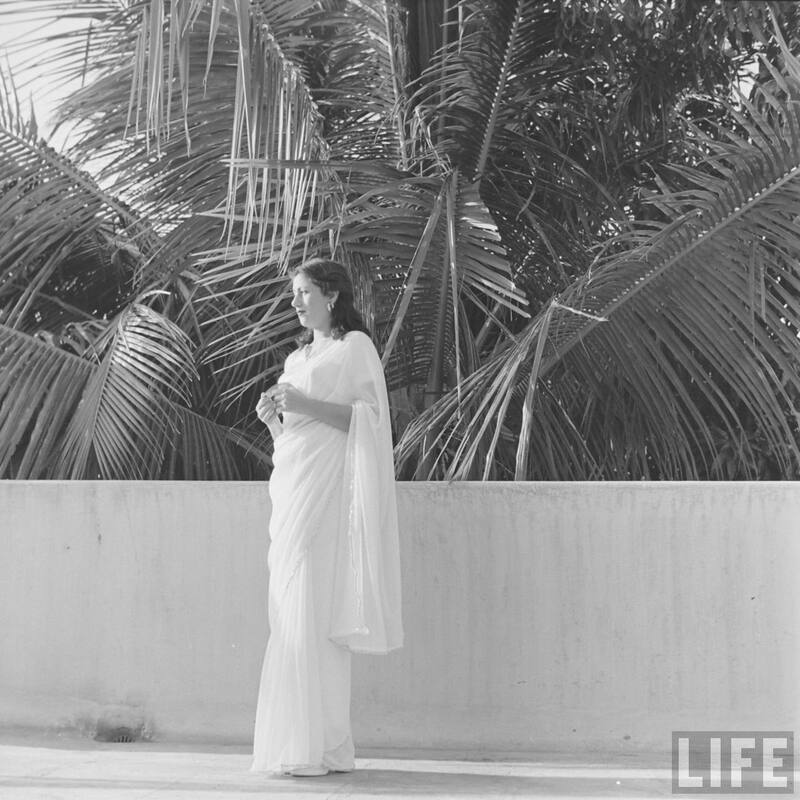 After his divorce, because Kishore Kumar was Hindu and Madhubala Muslim, they had a civil wedding ceremony in 1960. 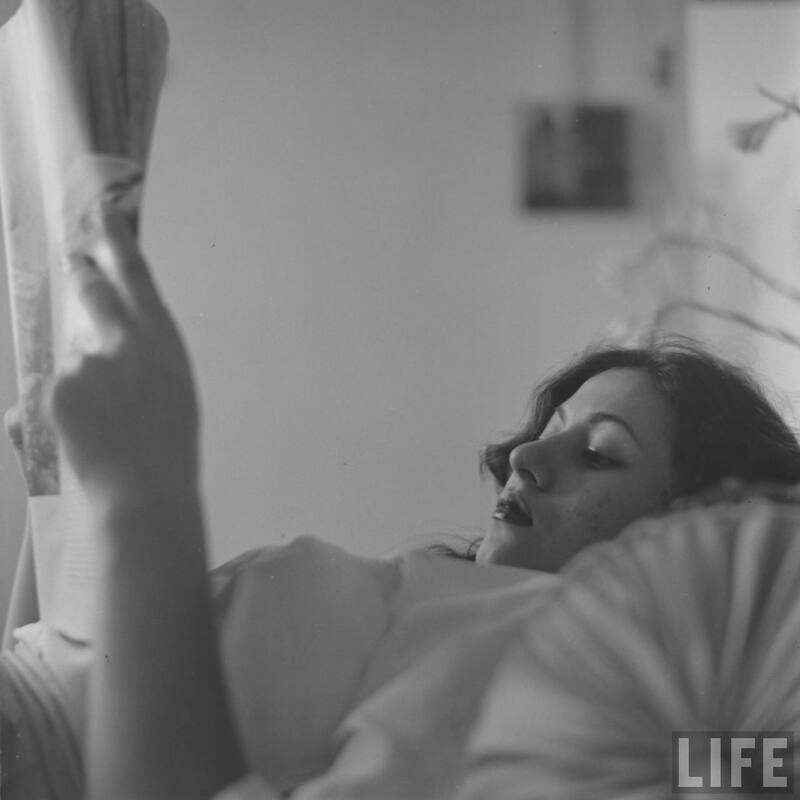 In 1960, Madhubala sought treatment in London as her condition deteriorated. Complicated heart surgery was in its infancy and offered her some hope of a cure. 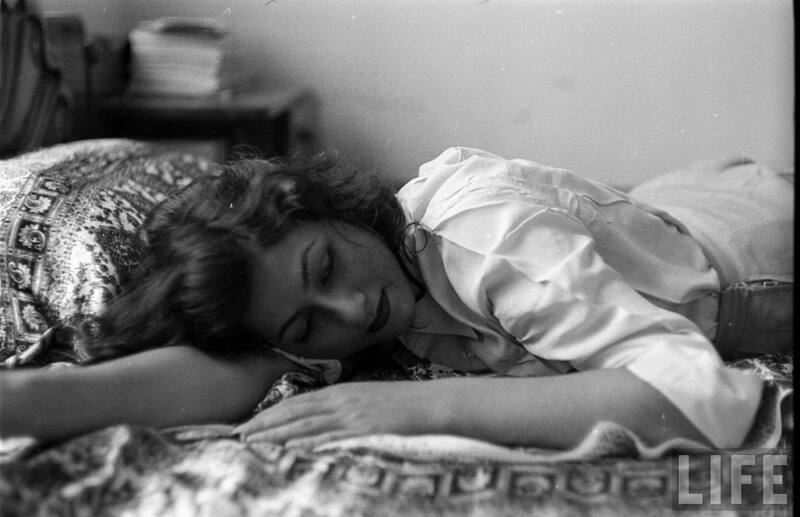 After an examination the doctors there refused to operate, convinced her chances of surviving the procedure were minimal. 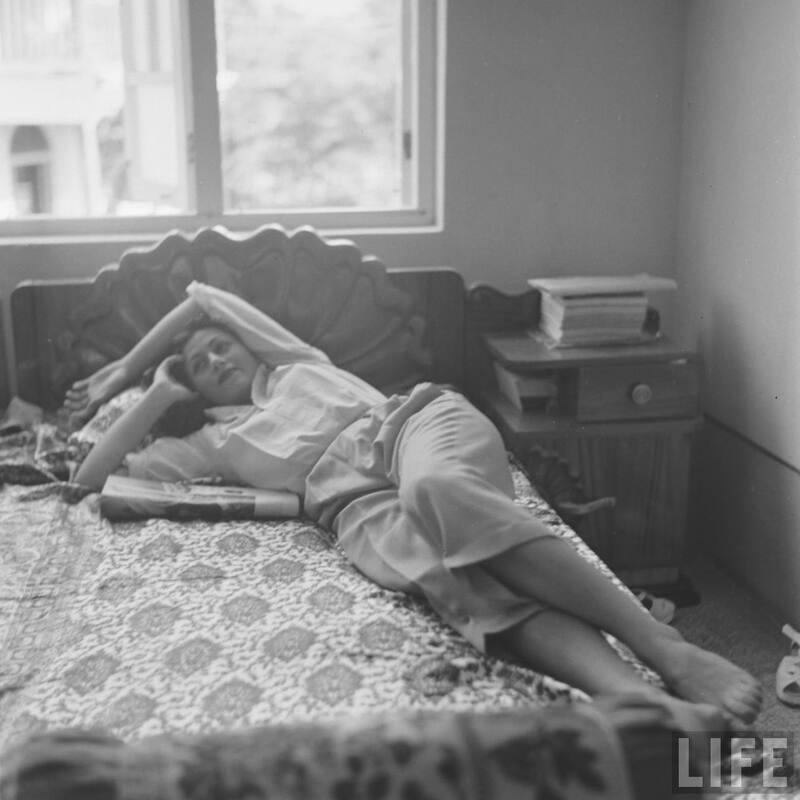 Their advice was that she should rest and avoid overexertion, and predicted that she could live for another year. 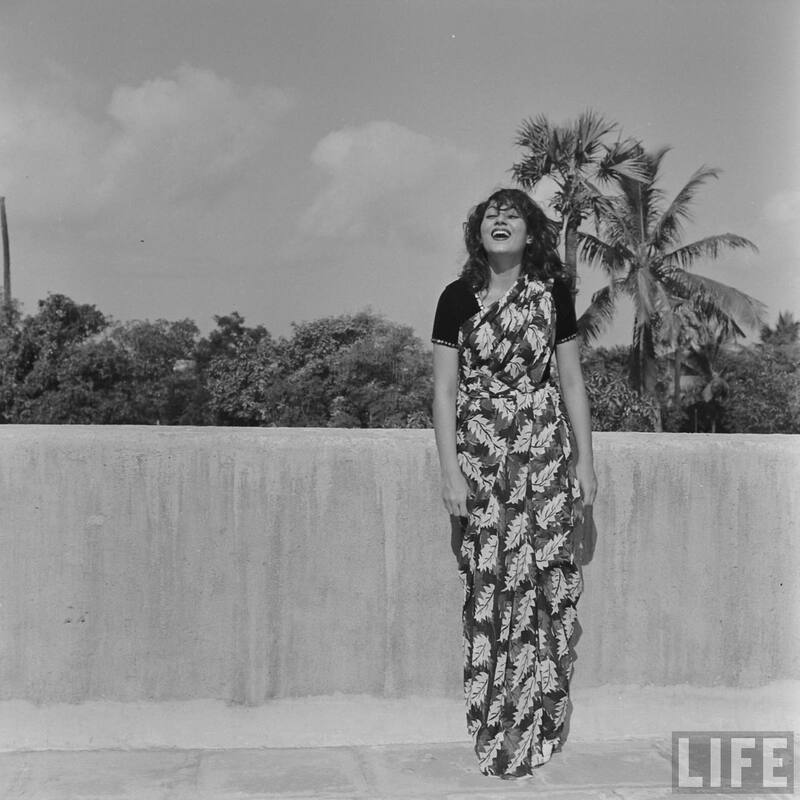 Knowing her death was imminent, Madhubala returned to India, but defied the predictions by living for another 9 years. 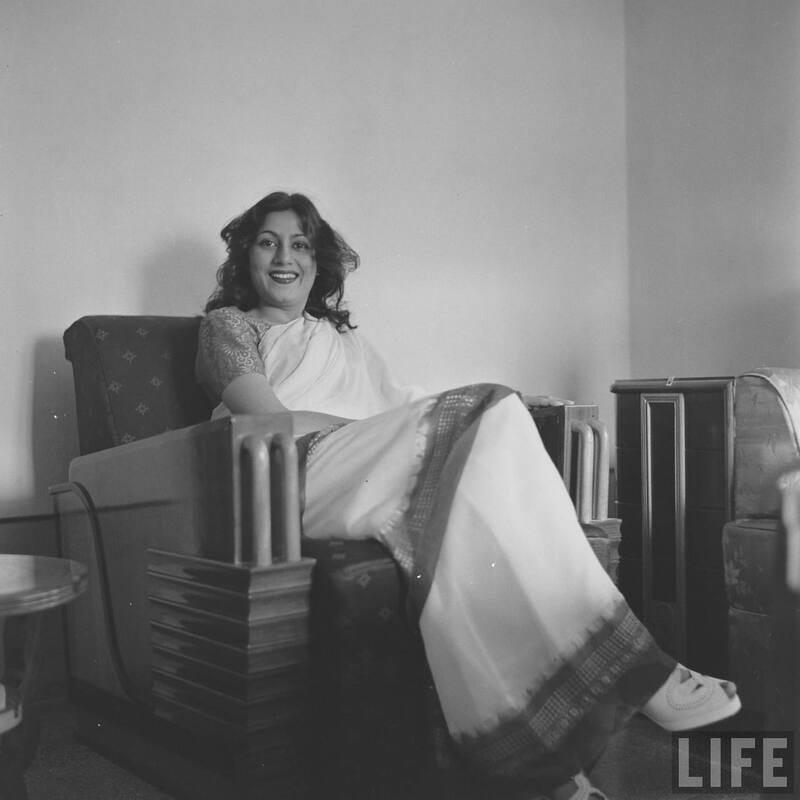 In 1966, with a slight improvement in her health, Madhubala tried working again opposite Raj Kapoor in the film Chalak. 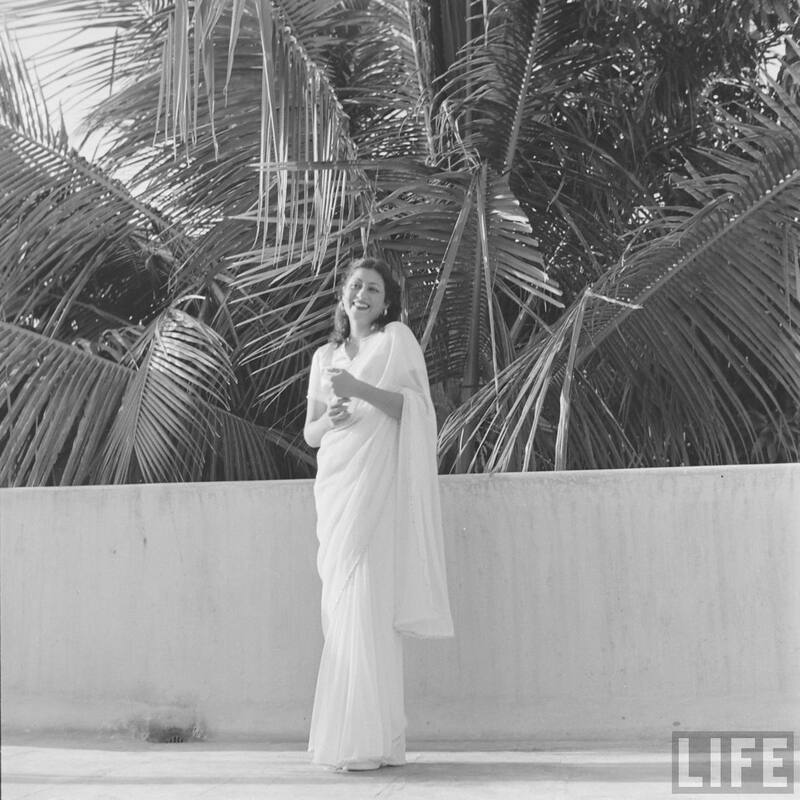 Film media heralded her "comeback" with much fanfare and publicity. 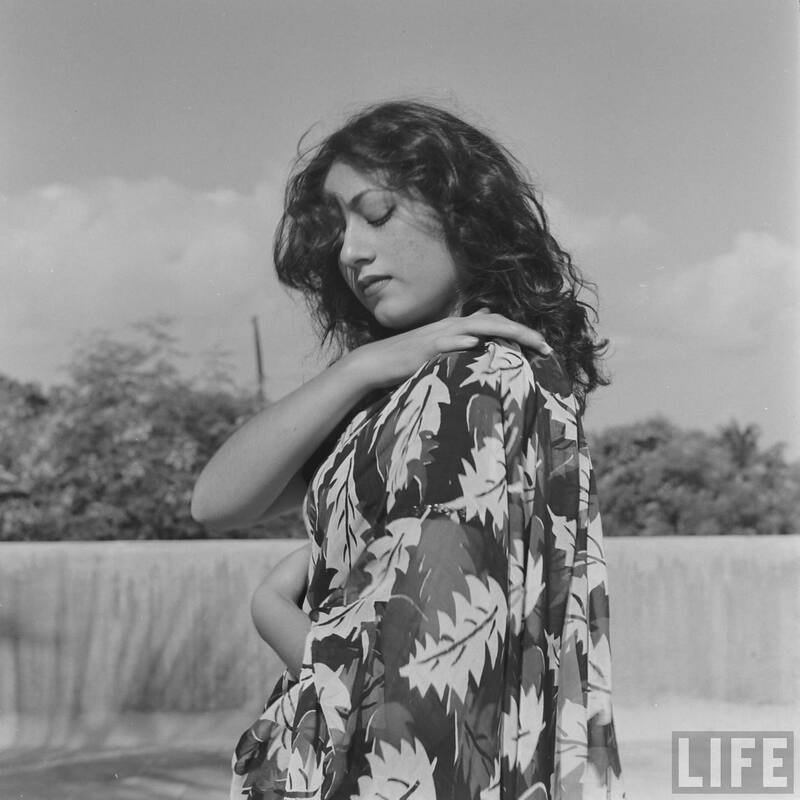 Stills from this time showed a still beautiful but pale and wan-looking Madhubala. 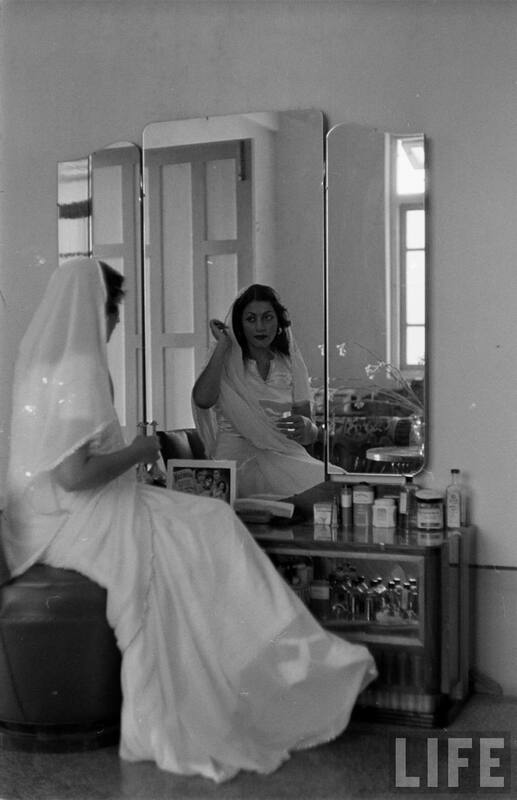 However, within a few days of filming, her frail health caused her to collapse and the film remained incomplete and unreleased. 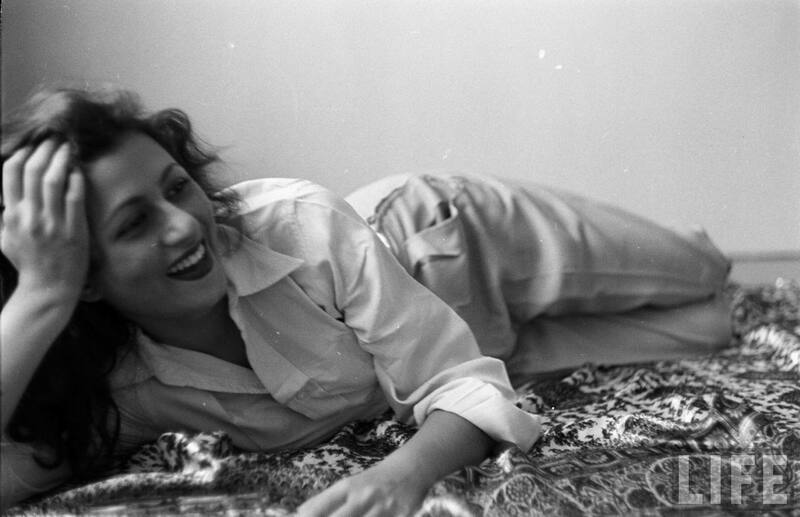 When acting was clearly no longer an option, Madhubala turned her attention to film making. In 1969 she was set to make her directorial debut with a film named Farz aur Ishq. 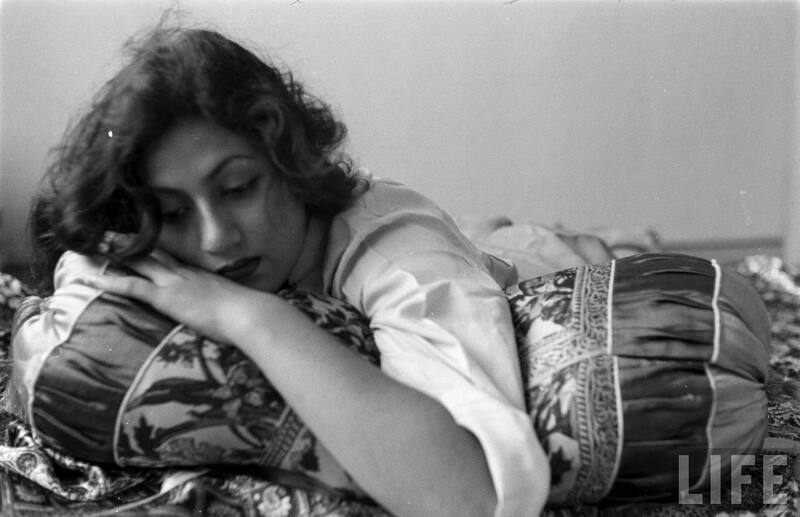 However the film was never made, as during the pre production stages, Madhubala finally succumbed to her illness and died on 23 February 1969, shortly after her 36th birthday.